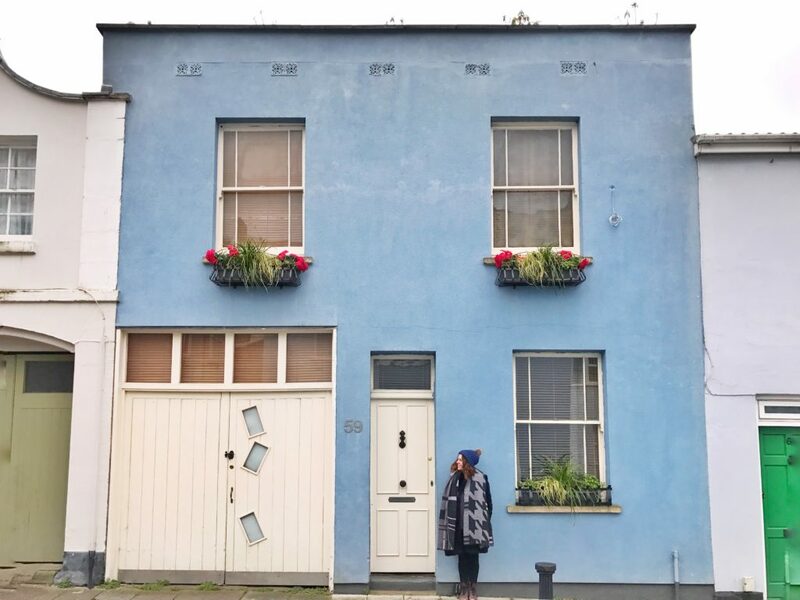 Next time you visit Britain, put Bristol on your itinerary. It is hard to describe in a nutshell what makes this city special. There are so many cool things to do in Bristol -48 Hours in Bristol, while not being ideal, gives you just enough time to soak in all the key highlights. I loved the arts scene here. You can pop out any night of the week and catch a live gig or theatre performance. 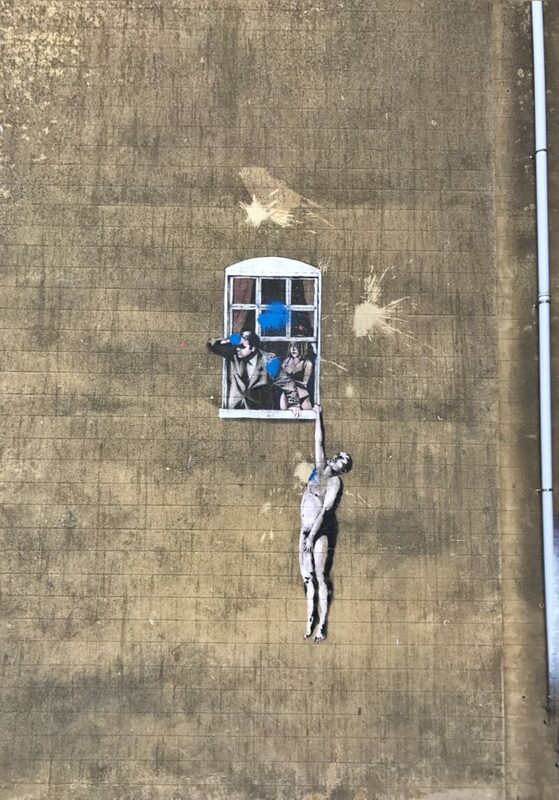 Plus, as the home of Banksy, the city enjoys a rich wealth of amazing street-art. 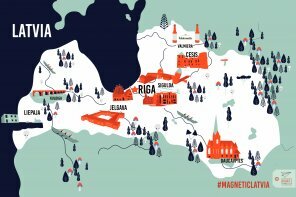 The other thing that surprised me was the city’s diverse architectural heritage -from timber framed houses to perfect Georgian terraces to 20th century Brutalism. 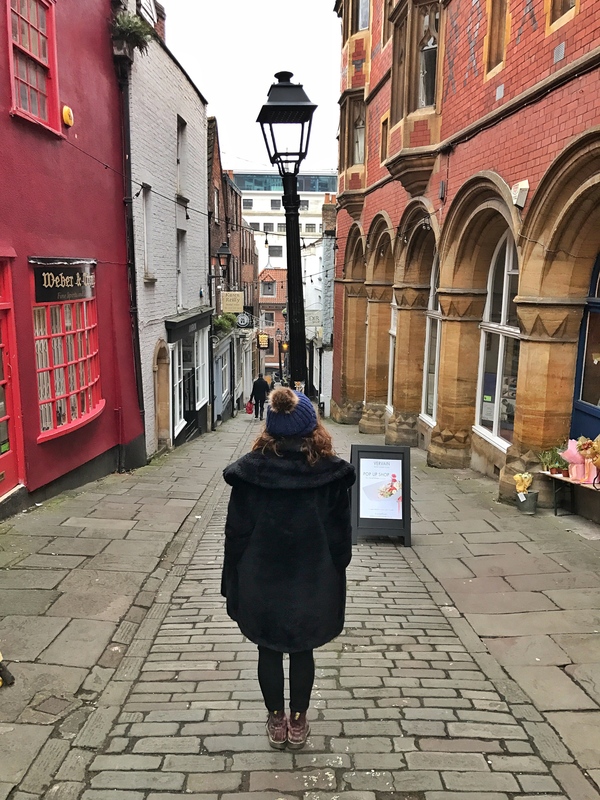 The city’s quaint and narrow cobbled streets are a dream to walk around. Perfect for all you time travellers. 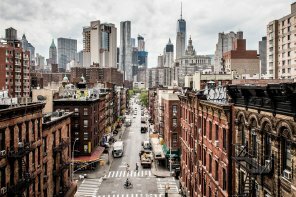 No surprise that the city has hosted Sherlock on numerous occasions. 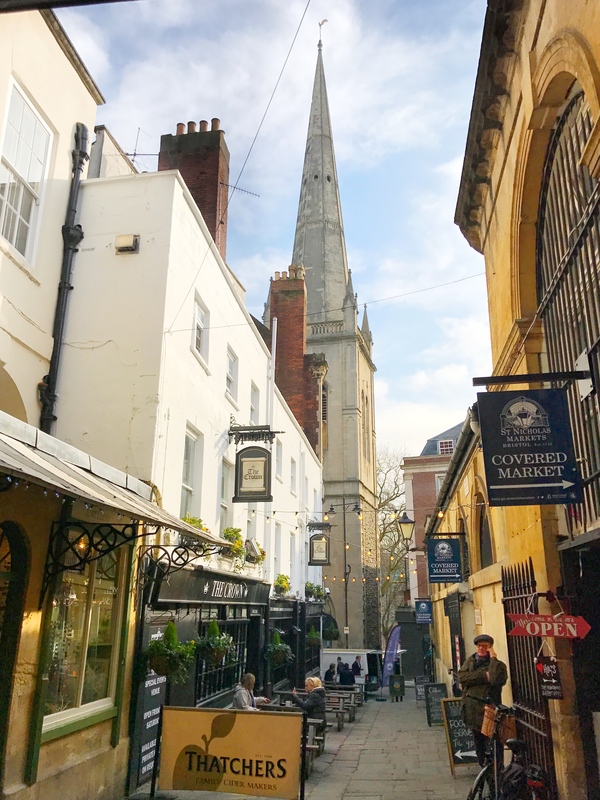 There’s a host of amazing experiences to discover, from independent shops, to fine museums, to the majestic Harbourside and also the city has a growing gastronomic reputation. So many experiences, yet so little time. 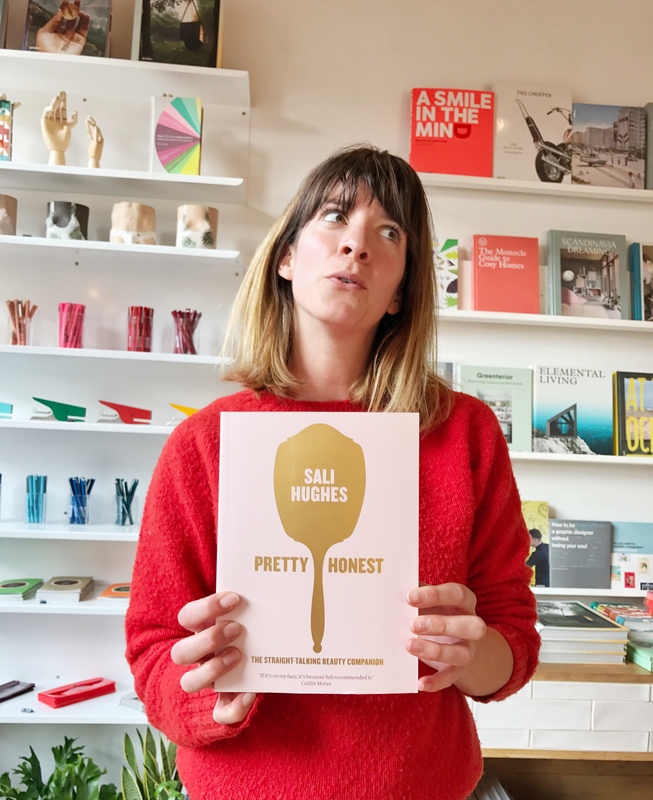 Here’s what I managed to discover in my 48 Hours in Bristol. 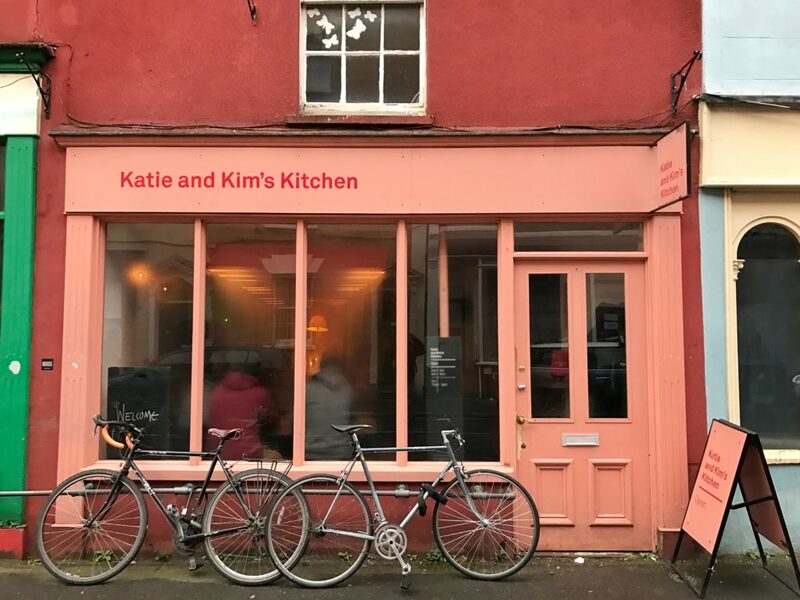 My first day in Bristol kicks off with an amazing breakfast at Katie and Kim’s Kitchen, (at 39 Picton Street ) located in the heart of Montpelier. 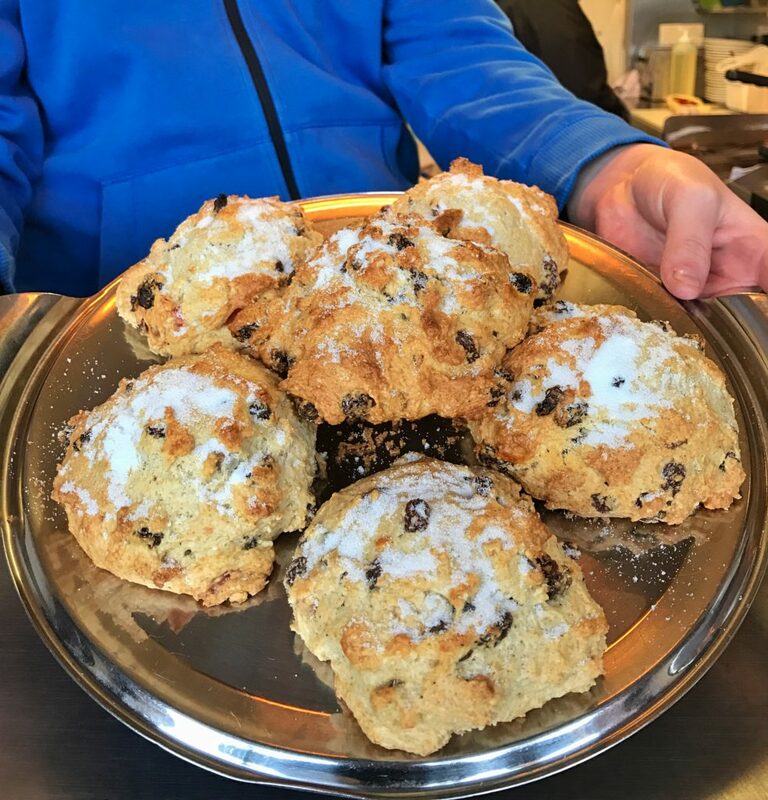 I enjoyed everything: sampling their eclectic rosemary and cheddar scone (£2.50) while my friends Victoria and Steve went for their granola with yoghurt and prunes (£4) and their stunning marmalade on toast (£3). Marmalade never tasted better on toast: trust me on this one. Washed it down with a strong coffee (£2.20). I could eat this on repeat at this place every morning. Tip of the hat to locals Victoria and Steve for bringing me here. 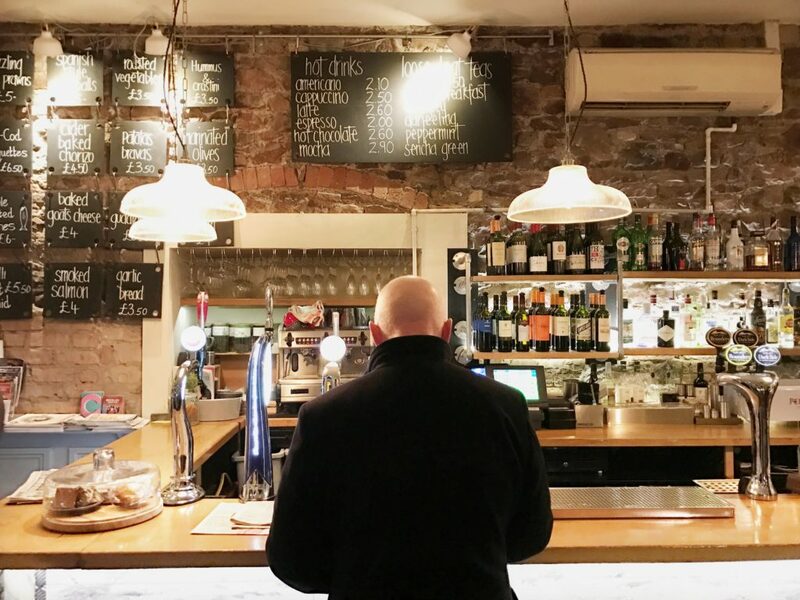 This place is the perfect introduction to Bristol. A hostel on a boat? I’ve stayed in castle hostels, prison hostels but this boat hostel was a first for me. 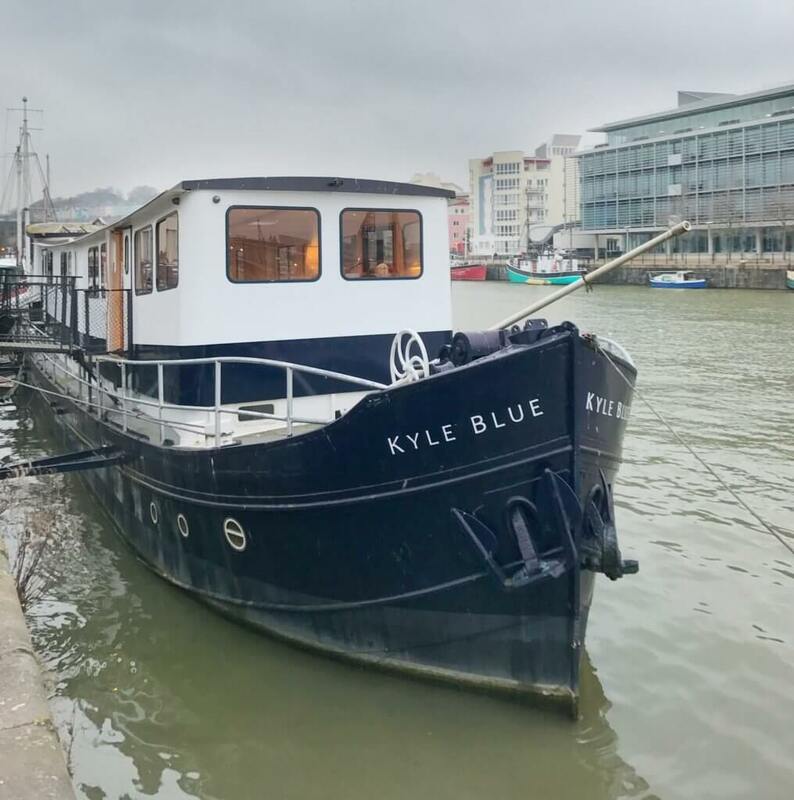 Kyle Blue Hostel is located right in the heart of the Bristol Harbour, at Wapping Wharf. 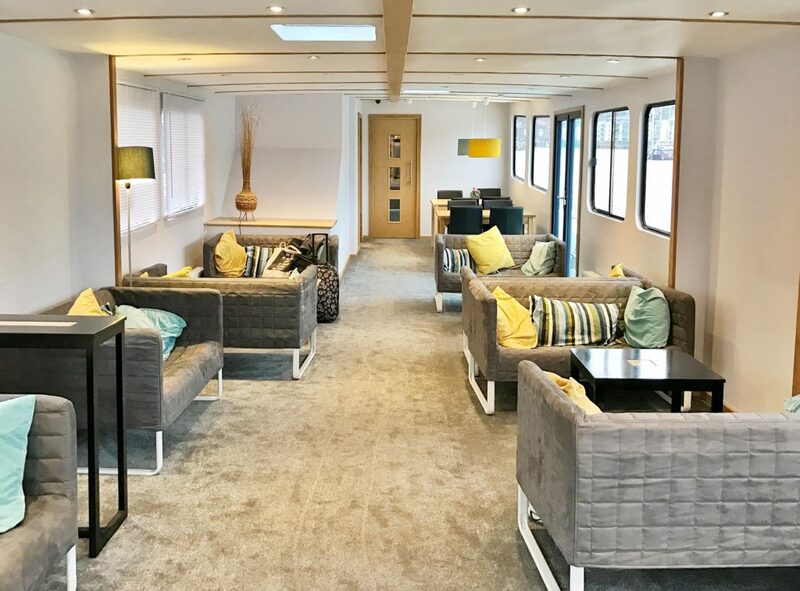 The rear of the upper deck has a small reception where you check in and also has the original wooden steering wheel of the boat. A very chic living room space, complete with sofas to laze on dominates the upper deck. 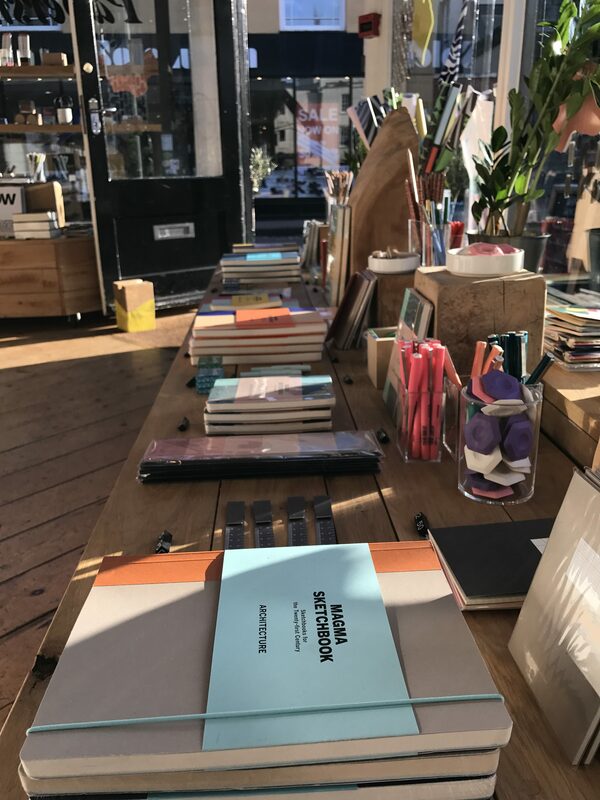 You also have a few tables from where you can get some work done and enjoy the views of the harbour as the boats sail by. There is a spacious communal kitchen at the back if you’re looking to cook (Sainsburys supermarket just a 5 minute walk away). There is also free tea and coffee available all day for guests. Guests can choose from private or shared accommodation. I stayed in a private single room with shared bathroom. It was on the small side but cosy enough. The communal bathrooms were clean and excellent. They have dedicated female only dorms which look great. 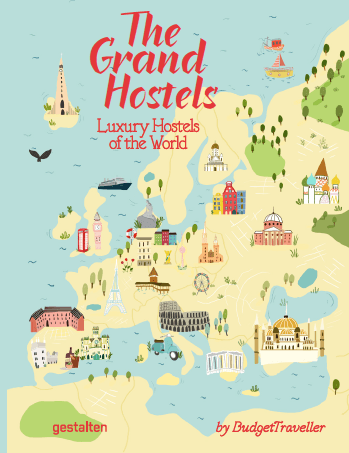 It is a quiet but chilled out hostel that should appeal to people of all ages. 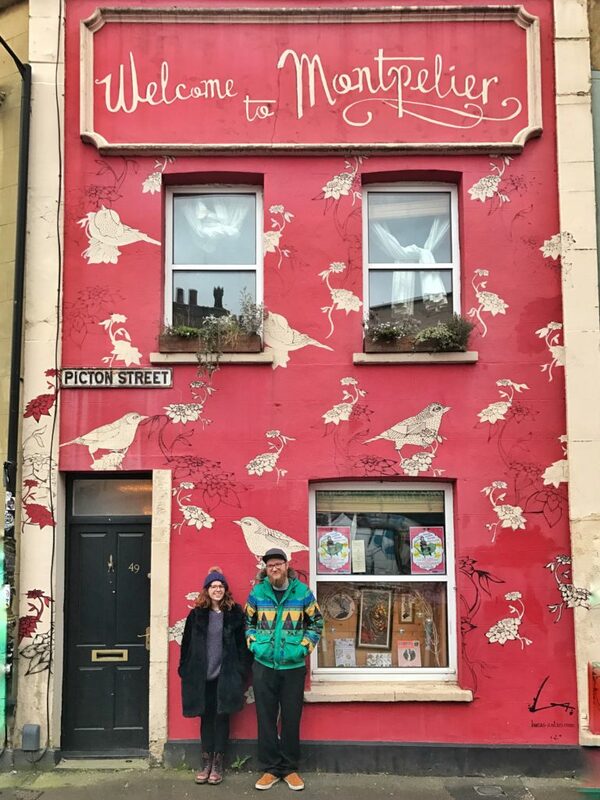 Booking via Hostelworld.com , a basic double bed with shared bathroom starts at £36 night which is a great bargain for this location. 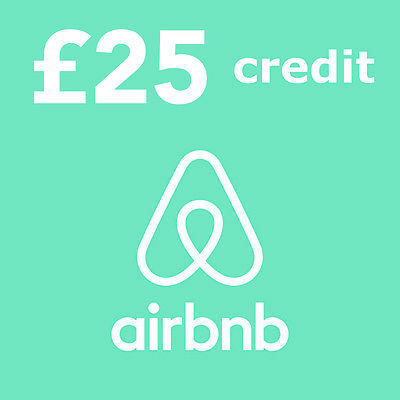 A bed in their 4 bed female dorm starts at around the £24 mark. 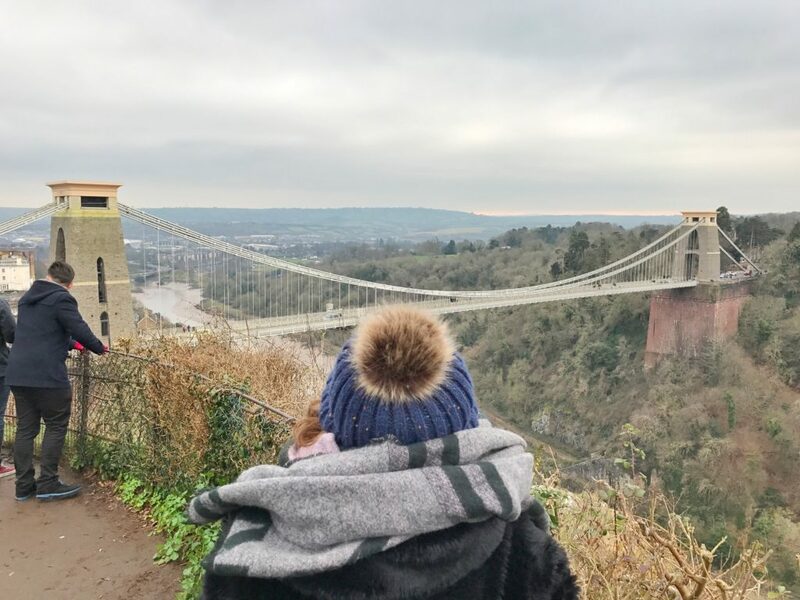 In the company of Victoria, I headed to the neighbourhood of Clifton to checkout the iconic Clifton Suspension Bridge. The suspension bridge was built in 1864 by the great Victorian engineer Isambard Kingdom Brunel and spans the mighty River Avon, linking Clifton in Bristol to Leigh Woods in Somerset. It is a masterpiece of Victorian engineering, commanding some of the most breathtaking scenery in Great Britain. Top tip: We also popped into the nearby Clifton Observatory (Giant’s cave – Adults: £2.50, Children (aged 4 to 14): £1.50) which was once a Snuff Mill. William West, a Bristol artist, converted it into an Observatory in 1828. A tunnel, also constructed by West, connects the Observatory to the Giant’s Cave. One very good reason to visit the caves is to gain a bird’s eye view of the Suspension Bridge and the River Gorge. We made our way down some steps to the cave and suddenly found ourselves out on a ledge on the cliff face, that overhangs the gorge. It’s a brilliant place to get some jaw-dropping shots of the majesty of the surrounding scenery. We then made our way back to Clifton and went for a wee wander around this very pretty neighbourhood. 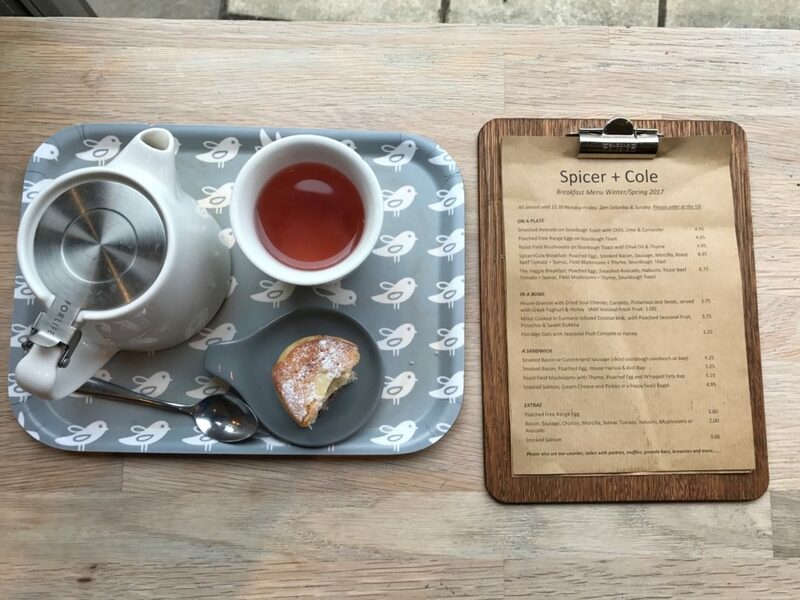 We stop at Spicer and Cole in Clifton Village (9 Princess Victoria Street) for a cup of coffee and cake. There are about 6-7 sweet treats on offer ranging from chocolate brownies, flapjacks, custard tarts, gluten free baked items and also vegan items (£2-4) and are really, really delicious. 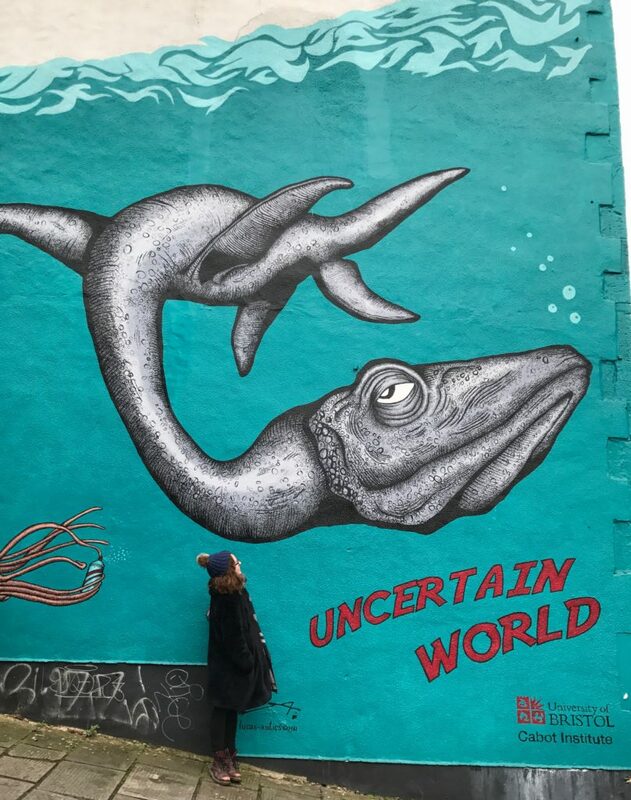 After the much needed food and drink fortification we head in for a dose of culture at the Royal West of England Academy of Art’s latest exhibition: The Strange World of Angela Carter. 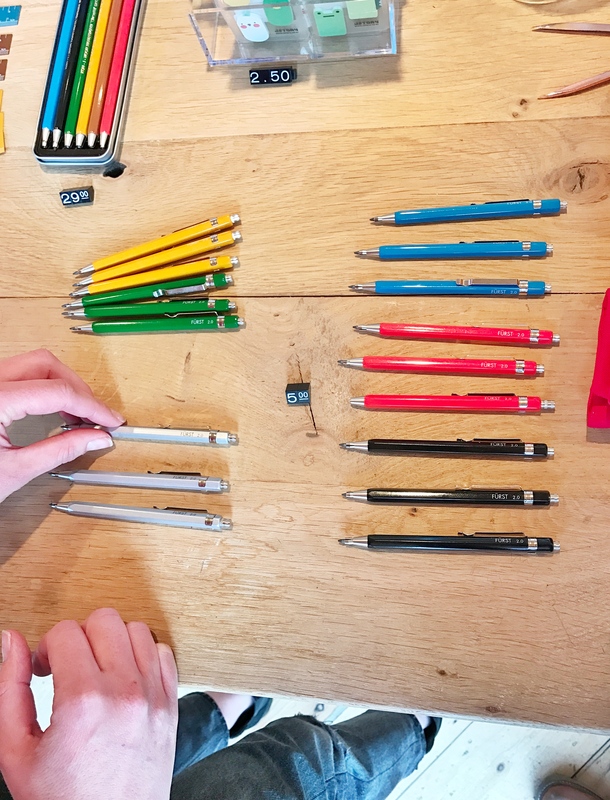 The RWA is open Tuesday to Saturday, 10am-6pm, and Sunday, 11am-5pm. The exhibition was really delightful and focused on the art that is central to the author Angela Carter’s novels and short stories. 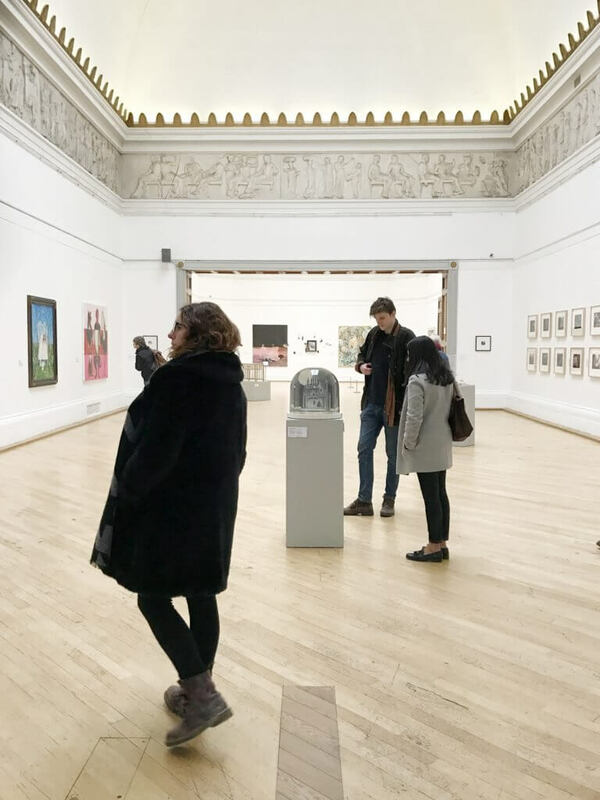 Carter’s genre is that of fantasy and magic realism and the exhibition displayed key works of art by Marc Chagall, Leonora Carrington and William Holman Hunt among others (Adults: £6.95 admission). 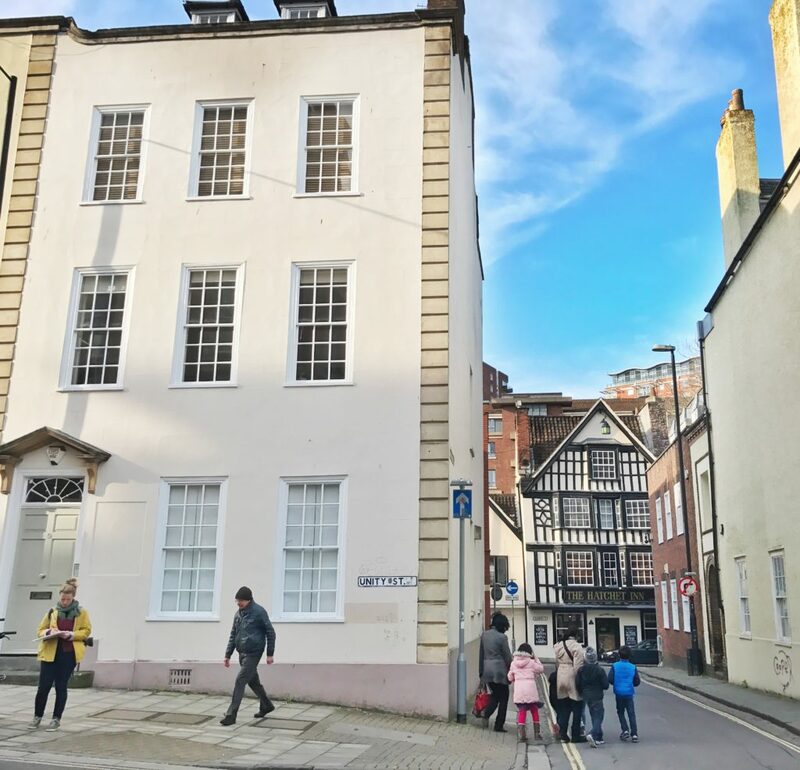 Our next stop was Bristol’s Red Lodge Museum located on Park Row. 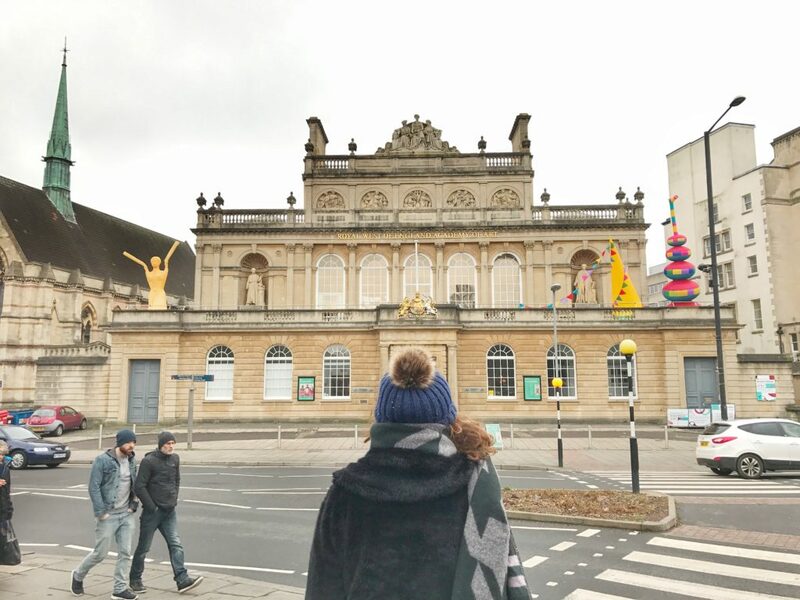 The museum is part of Bristol Museums, run by the City Council and is free to enter. It’s an Elizabethan-Tudor manor house that dates from 1580 and contains a rich slice of Bristol’s history. You can visit the resplendent Great Oak Room, replete with stone and wood carvings with intricate motifs plus also view a grand Elizabethan four poster bed, and the later Georgian extensions. Sadly the Red Lodge Museum was closed for refurbishment when we visited and will open again on 1st April 2017 till 31st December 2017. The museum is closed on Wednesday, Thursday and Friday. We stumble across a really quaint little corner of town: the Christmas Steps. 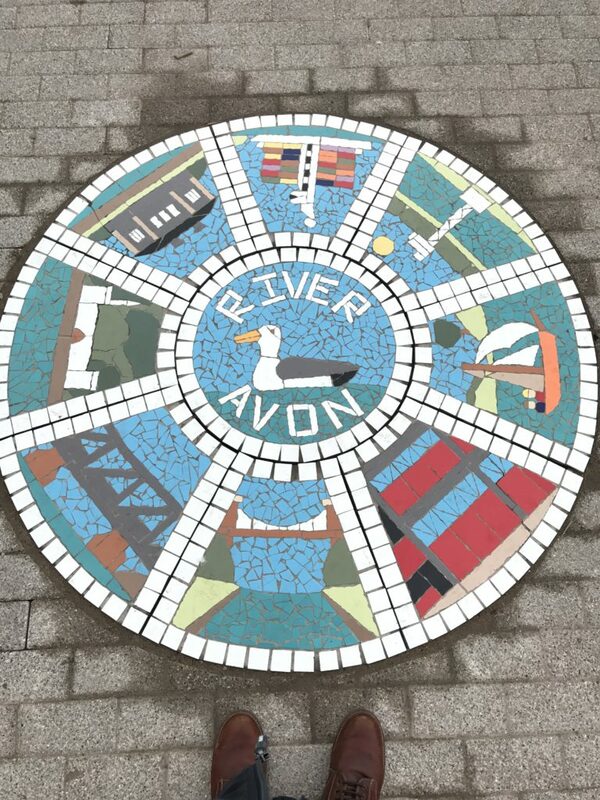 It’s a historic, cobbled street containing a number of listed buildings, most of which currently house a few shops. 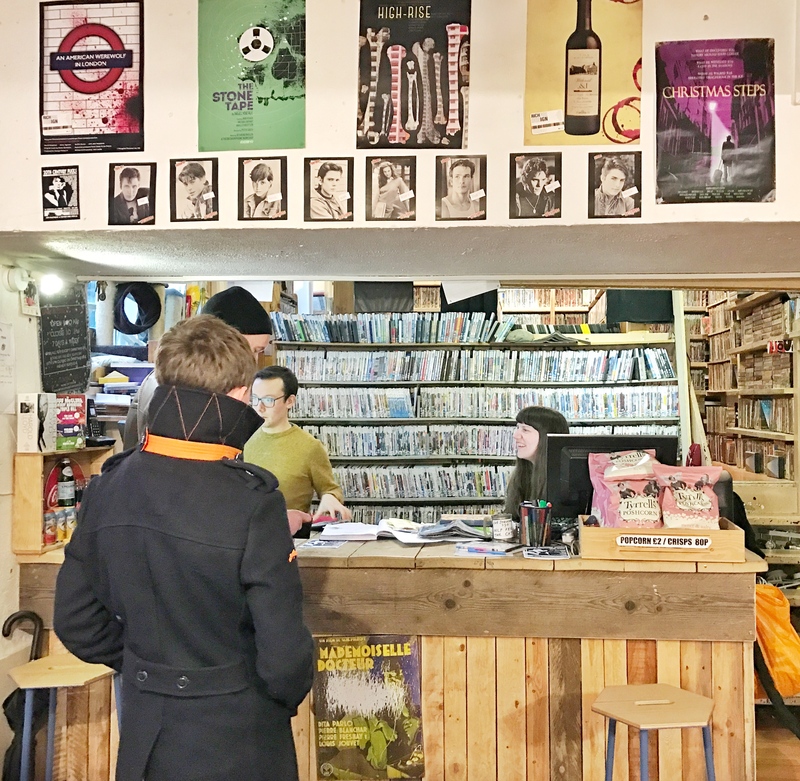 Some places that caught my eye include the fantastic 20th century Flicks Video Shop where you can hire their private cinema rooms and have a screening for just you and your friends. You can snag the room and pick a DVD from their collection if they have a last minute space for just £25. Another very cool quirky cafe at the bottom of the steps is the Chance & Counters Board Game Café. 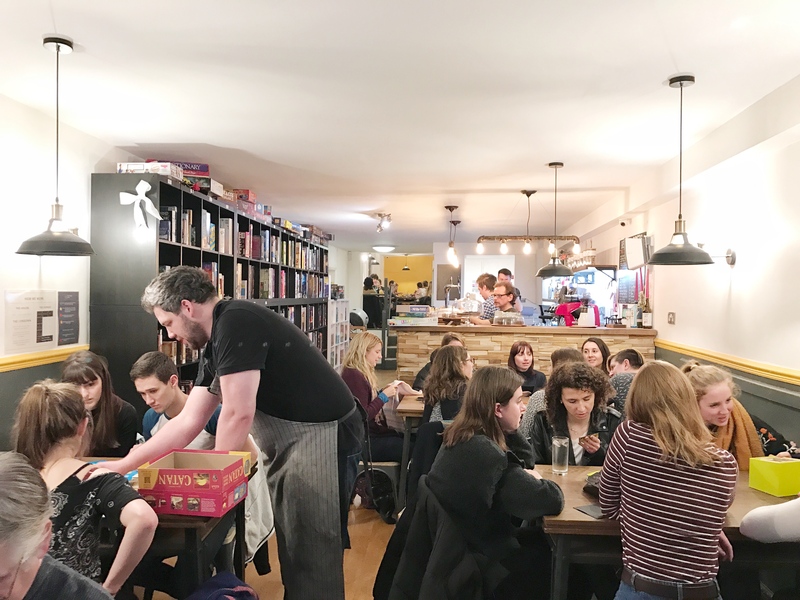 Launched with the help of a Kickstarter campaign, the cafe offers you 300 board games to choose from. Perfect place to escape the computer screen and spend a few hours with friends over one of their pints of local ale. 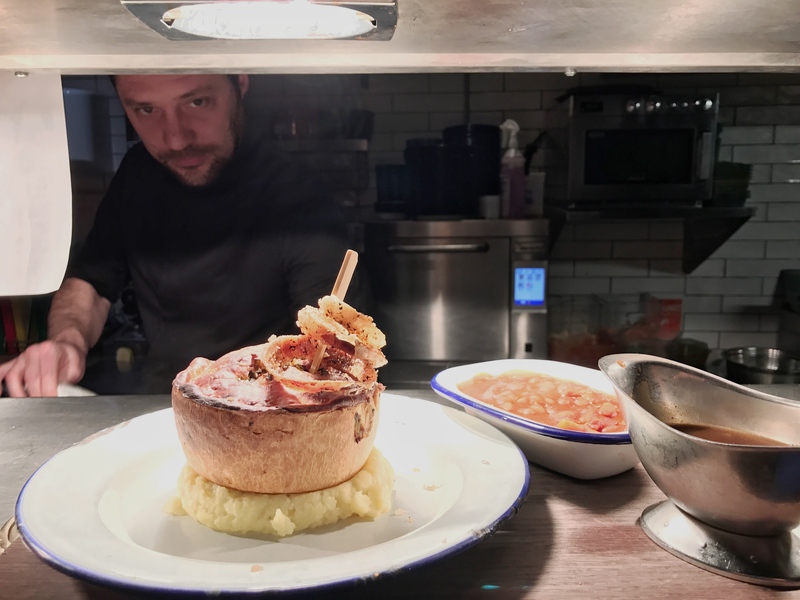 I enjoy a very late lunch at Pieminster – home to award winning British pies and a proper Bristolian institution. We wanted to try their Pea Paneer Spinach pie but they had finished by then so instead we tucked into their Wild Shroom Pie (£7.50) – ingredients include wild mushroom, asparagus, cream and white wine. With a side of sweet potato fries (£3.50) Really tasty stuff. 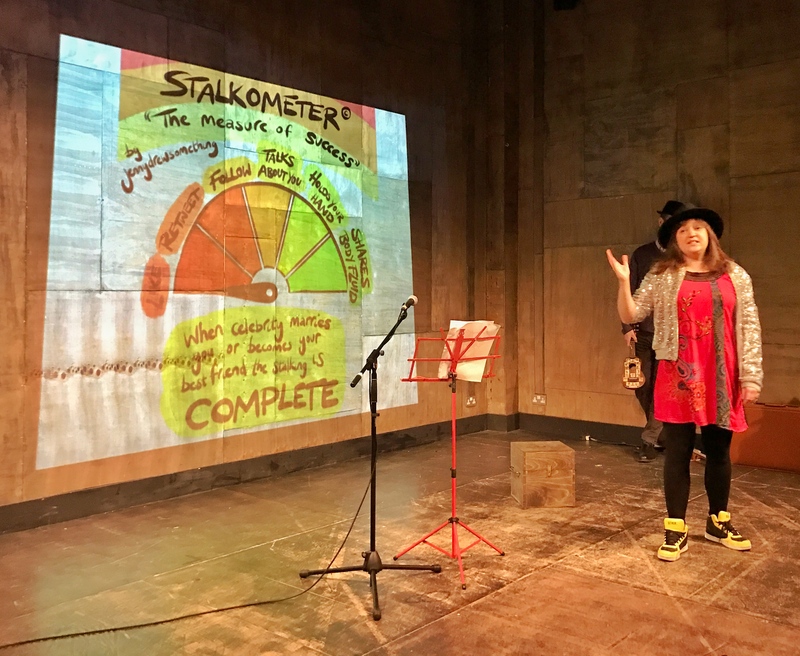 On the recommendation of Lesley from Destination Bristol, I decided to pop into the Wardrobe Theatre, an artist-led organisation and arts venue that has been providing Bristol with fantastic theatre, comedy and regular local nights for over 4 years and is regarded as one of the city’s most exciting and valued venues. 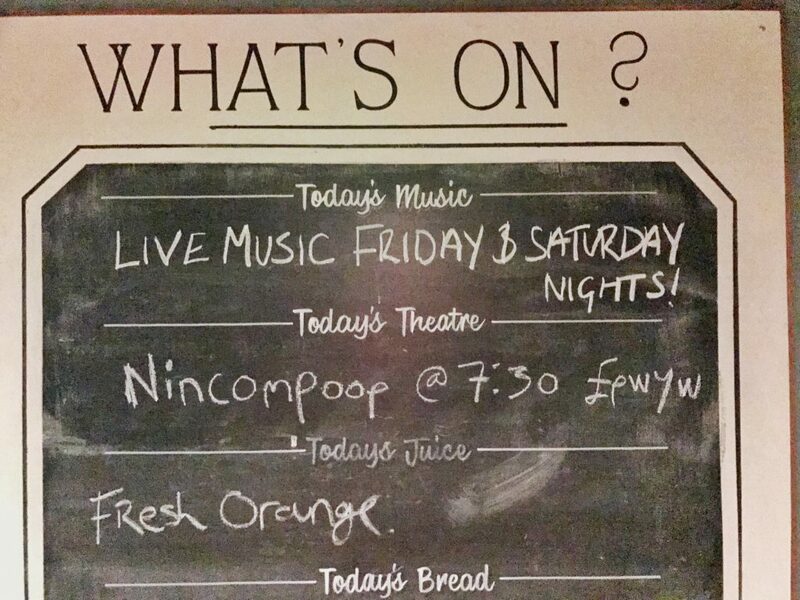 The show I attended is an alternative comedy night called Nincompoop. In the tradition of Monty Python, I am treated to an hour of anarchistic slapstick comedy: there’s lots of clowning around, mischief, sparkling wit that the Brits are renowned for plus lots of audience participation. 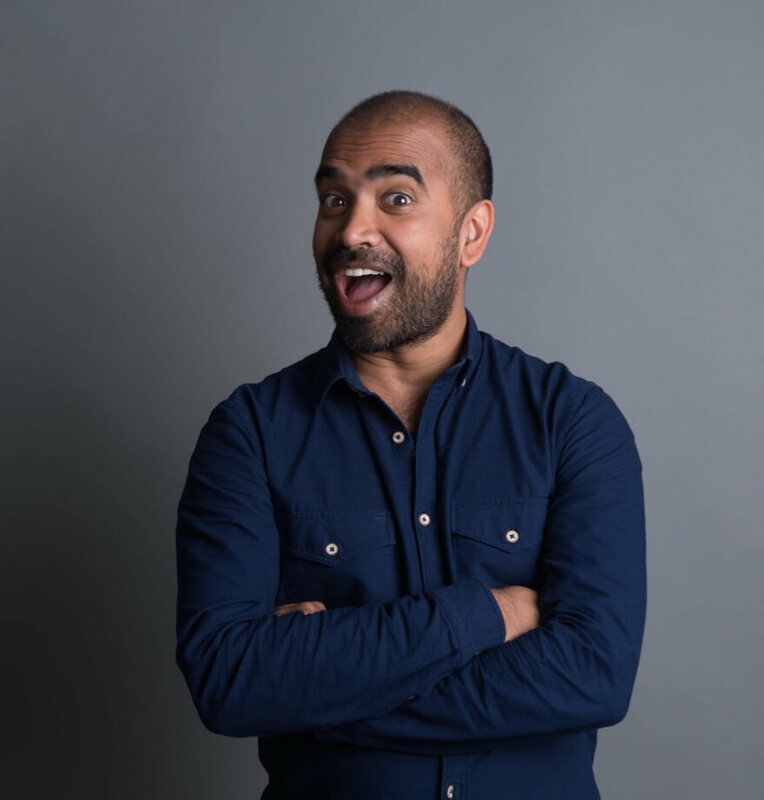 There’s a great vulnerability and rawness about the show that really endears you to the performers. I came out of the performance with a big smile on my face. For future performance dates hop over to the Wardrobe Theatre website. Payment is accepted on a ‘pay as you wish’ concept. King Street is packed with a bunch of great bars but this bar stands out thanks to its great selection of craft beers and ciders. With over 31 taps in total, there’s a lot of great beers to taste and sample. I sample a half of the crisp and fruity Harbour IPA. Then its time to head home: a wonderful first day in Bristol. 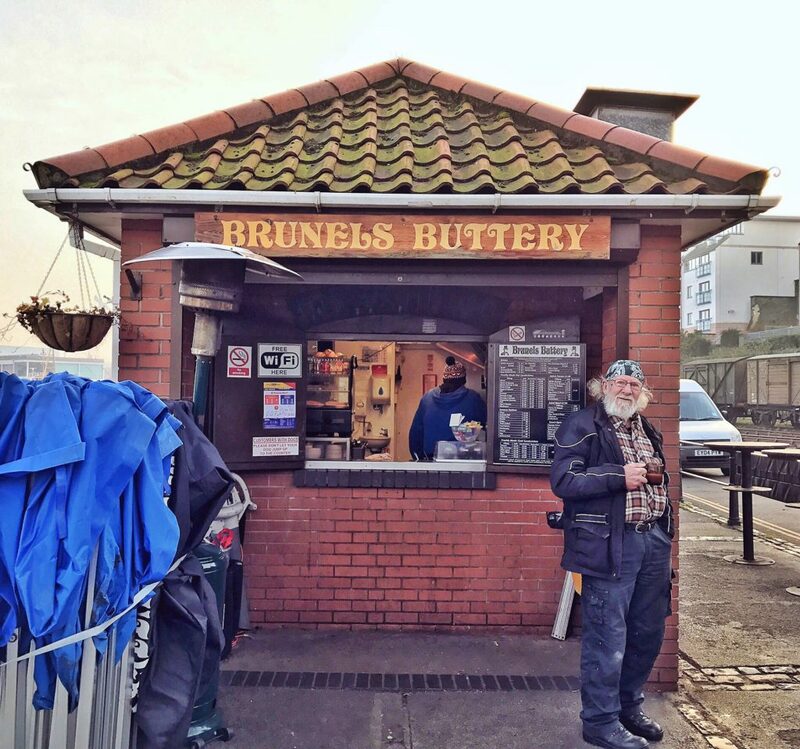 Just within walking distance of the hostel is Brunels Buttery, a Bristolian institution that has been serving millions of bacon sandwiches and cups of hot tea to hungry locals over the last 30 years from their tiny red brick hut on the harbourside. I naturally ordered their bacon roll (£2.60) and washed it down with a cup of tea. 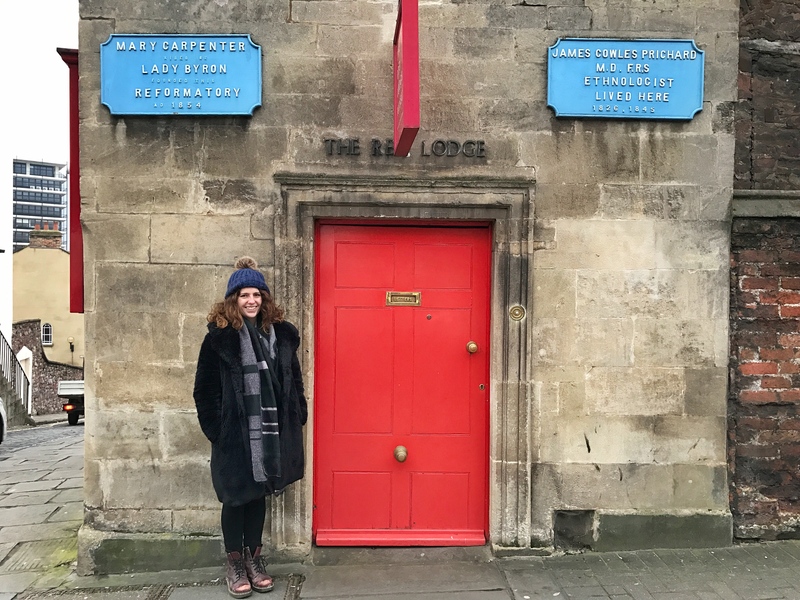 Before leaving Bristol you must make time to visit “The greatest experiment since the ‘Creation’. 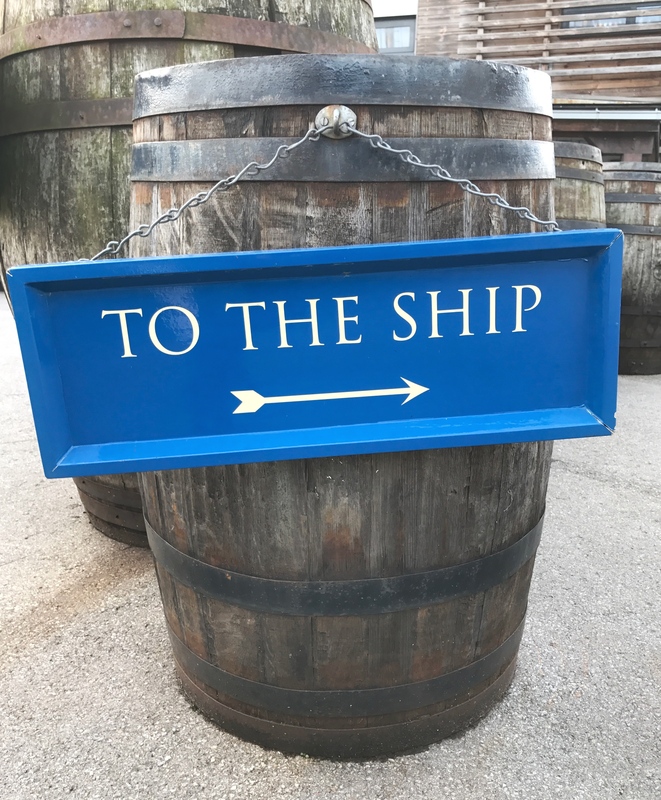 The museum ship and former steamship is a magical step back in time to the great Victorian era of innovation. 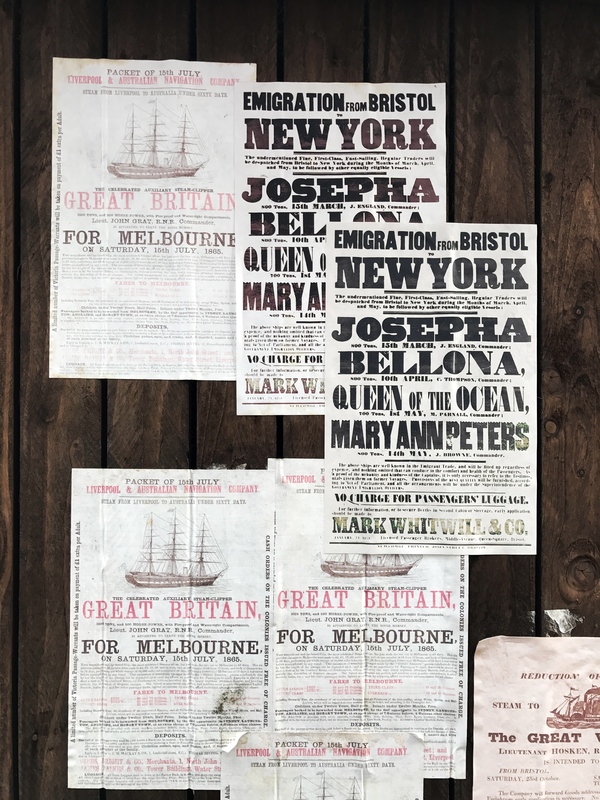 The ship was the first iron steamer to cross the Atlantic in 1845. 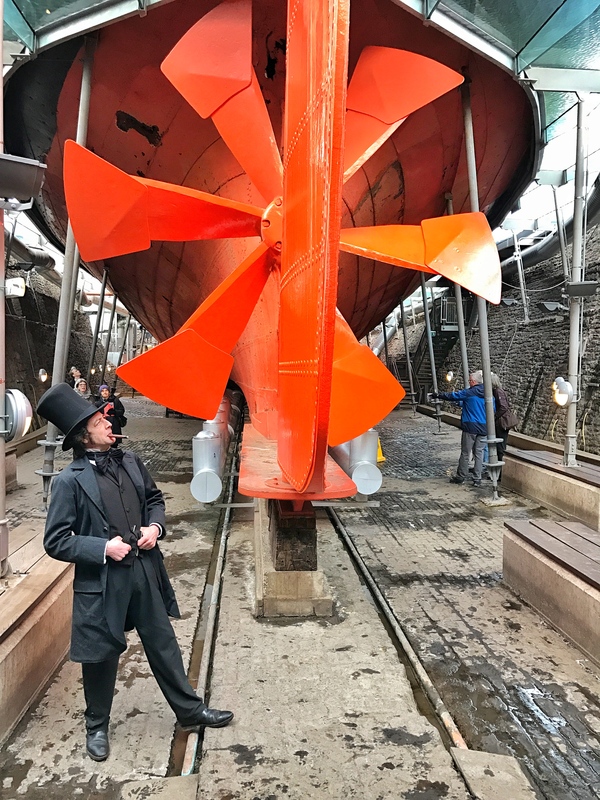 This was also the first ship to have a wrought iron hull and jet propeller thanks to the genius of Isambard Brunel, who also created the Great Western Railway. Isambard’s ship changed the course of sea travel and the way ships were built. In this sense, he was a true pioneer. I loved exploring the various decks of the ship especially the outdoor top deck where the ships wheel is. 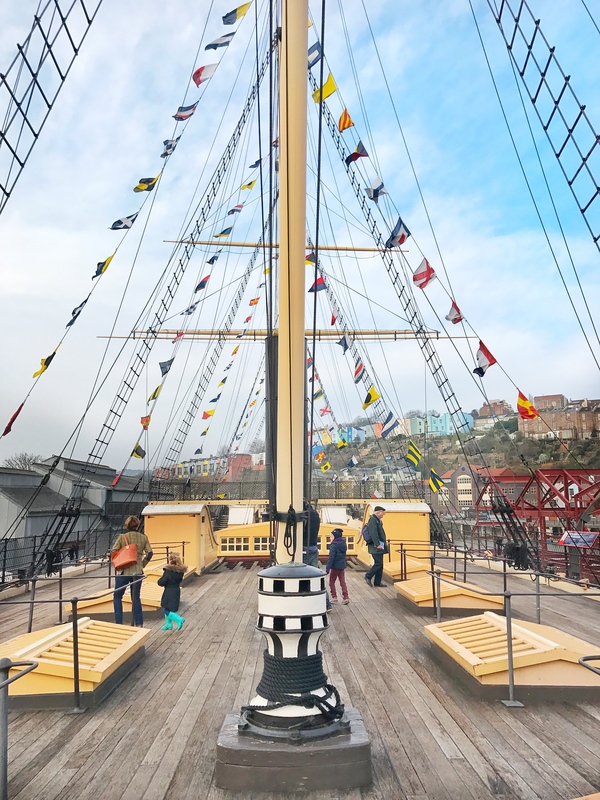 The deck has been recreated to give visitors a feeling of what it would have been like back in 1845, when the first passengers went aboard at the start of their voyage to New York. 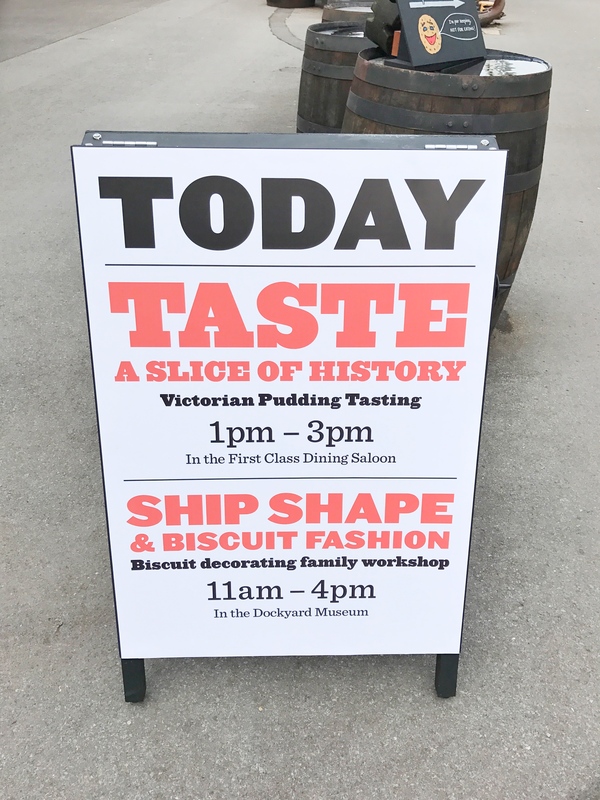 Fun things to do here include Victorian Pudding tasting (1-3pm) in the 1st class dining saloon and biscuit decorating family workshops from 11am till 4pm in the Dockyard Museum. The ship also has a resident storyteller to share stories of what life was like on the high seas. 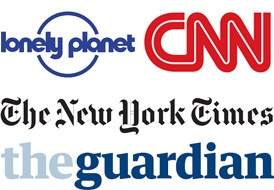 Check their website for dates for the storytelling workshops. Ticket prices are a hefty £14 for adults and £8 for kids (5-17. Under 4 go free) It is definitely one thing you should see when you come to Bristol so I highly recommend it. After all that museum hopping, I treat myself to a cortado at the Full Court Press Speciality Coffee located on 59 Broad Street. 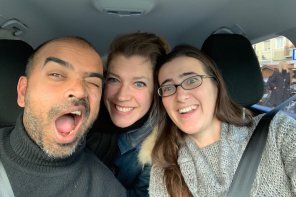 Baristas are friendly and helpful in describing their 4 different types of beans and tasting notes. Its a wee place but cosy with a fireplace and a stained glass window at the back that dates back to the 19th century. For any of my readers who are caffeine addicts they also do offer brewing courses to help you craft the perfect gourmet espresso. 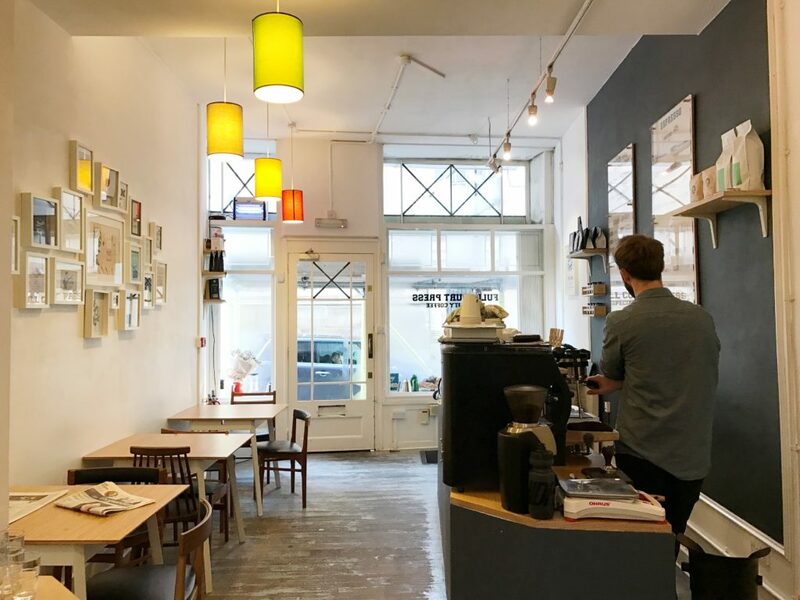 I didn’t expect it but Bristol has an amazing speciality coffee scene on par with any city in Britain: definitely also worth checking Small Street Espresso just around the corner and Mokoko Coffee on the harbour-great coffee and nice staff. Next up is a wander through St. Nicholas Market in search of lunch. 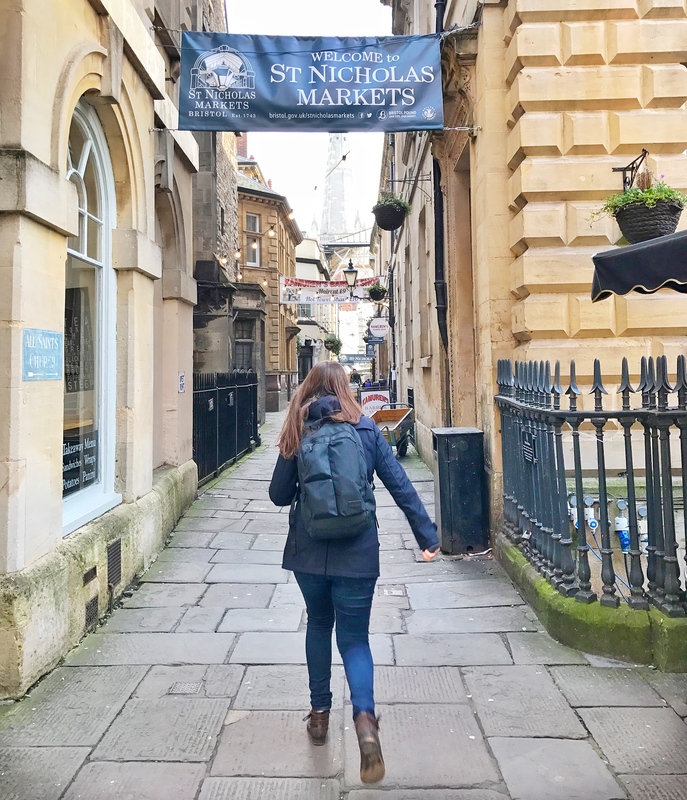 Named as one of the ten best markets in Britain and dating back to 1743, St Nicholas Market is again one of the must do Bristol experiences. 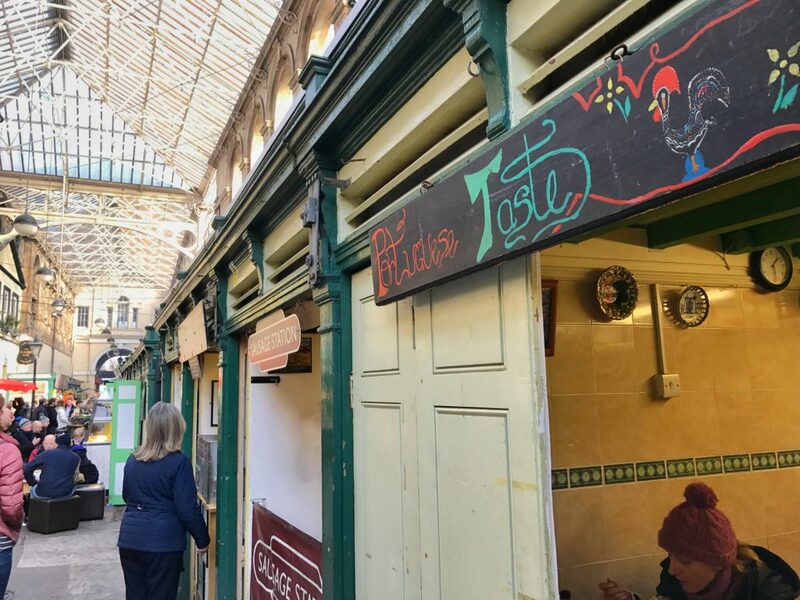 Situated in a grand Georgian building with over 60 different markets stalls to choose from, there’s something for everyone. 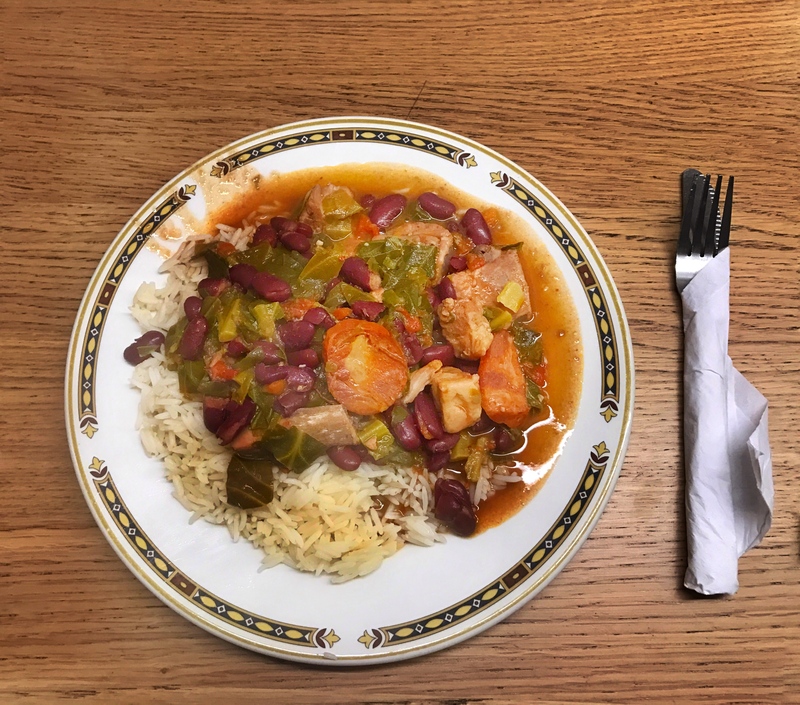 I stop at Portuguese Taste for feijoada (£5.50) [This was a big plate of food. I was sharing with my friend Sophie so keep that in mind. 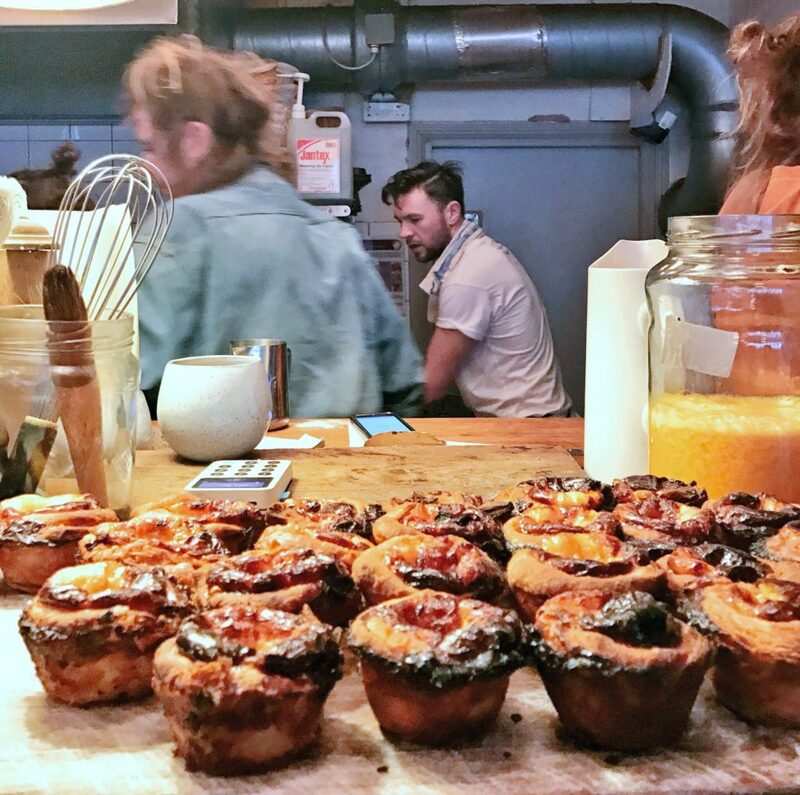 They also serve Caldo Verde soup, delicious piri piri chicken, bacalhau as well as the classic Portuguese egg custard pastry: pastel de nata). Later I tuck into the lip smacking Pork Garlic chive gyozas at the Japanese restaurant Eatchu (£6). 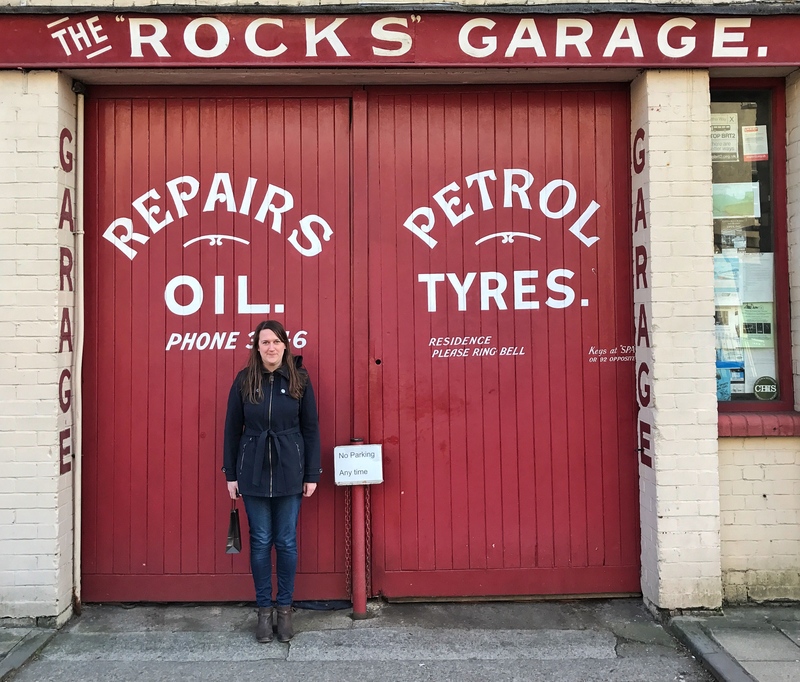 2.30pm An aimless wonder around Bristol…. I then go on an aimless wander and bump into The Hatchet Inn – arguably the oldest pub in the city (dating from 1606). It is a Grade II listed building and its name perhaps derives from the hatchets that woodsmen used to clear Clifton Woods. I’m tempted to have a wee tipple but I keep on walking. 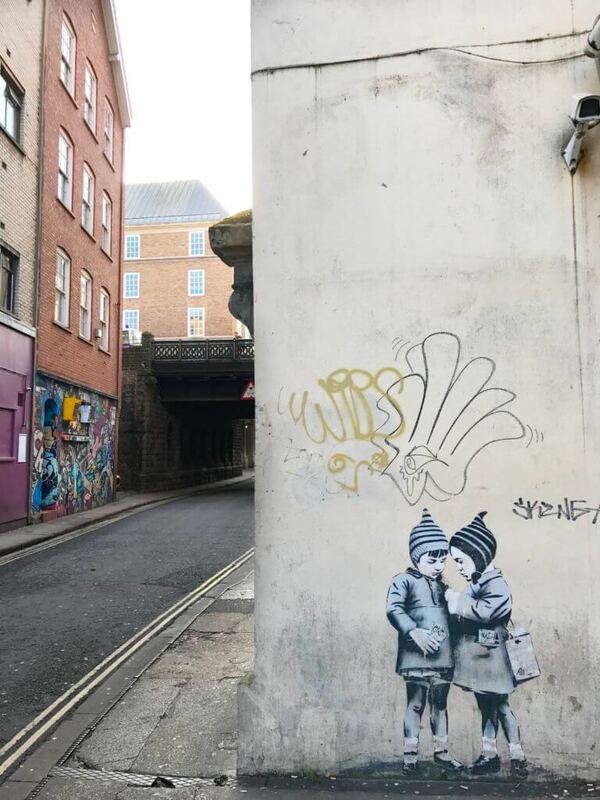 On my further adventures through town I notice the many wall murals and street art that Bristol is famous for. Banksy’s signature is found in the most unexpected corners – on Park Street I discover the famous mural of the naked man hanging out of a window as a suspicious husband peers out of the window into the distance as his scantily-clad wife stands behind him. 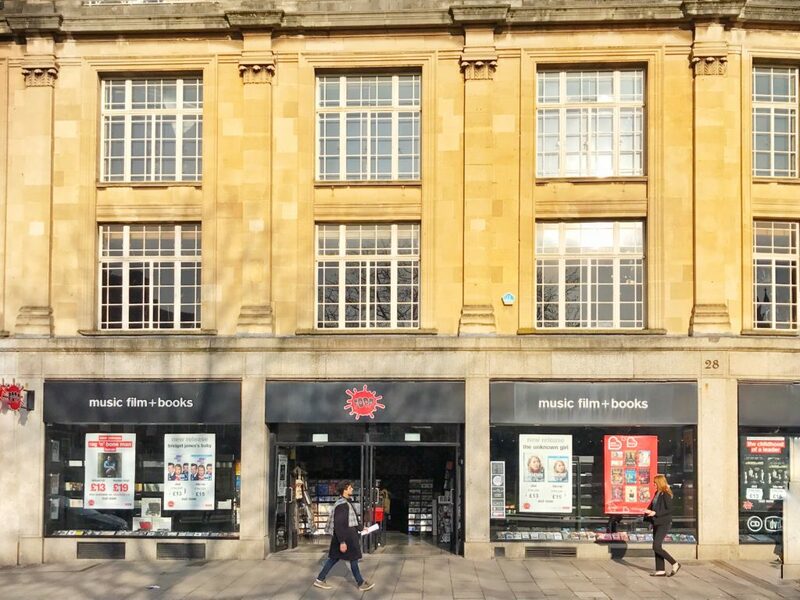 I pop into another Bristol institution Fopp on College Green- this is a store that sells discounted music, films and books. Back in the day when there was no Spotify and Netflix I would buy my DVD’s and CD’s (I miss those days) from their Rose Street store in Edinburgh. 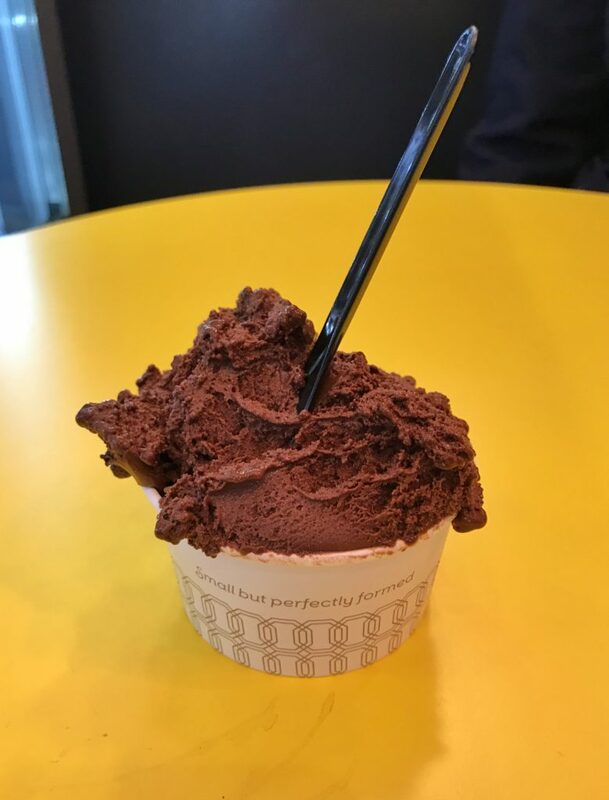 Afterwards we treat ourselves to the dark chocolate sorbetto at Swoon Gelato (31 College Green £2.60).The lady serving behind the counter was quite surly but the gelato is fantastic. We then hop on the number 8 bus back to Clifton (£1.70), where I step into Papersmiths (6A Boyce’s Ave ). 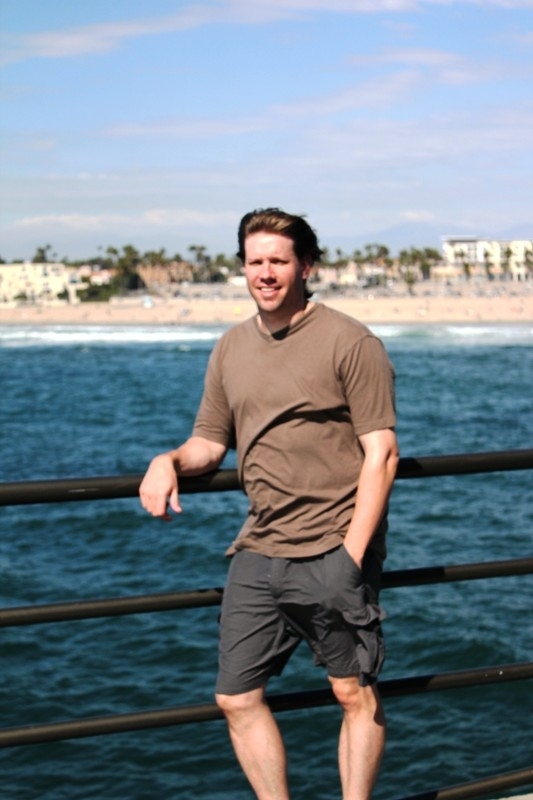 I am grateful for a life of travel. It gives me access to places and people who take me somewhere I’ve never been. You find these magical portals of happiness everywhere you travel. 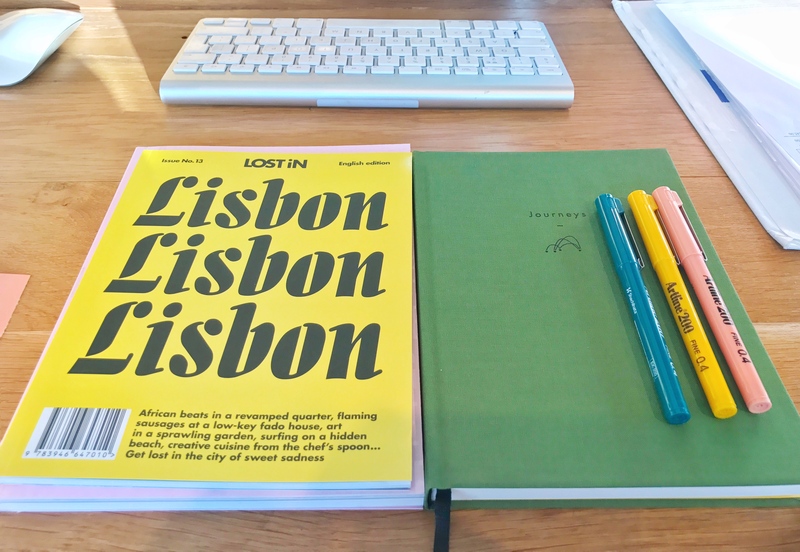 Papersmiths in Bristol for me was one of those hidden portals to pure happiness. 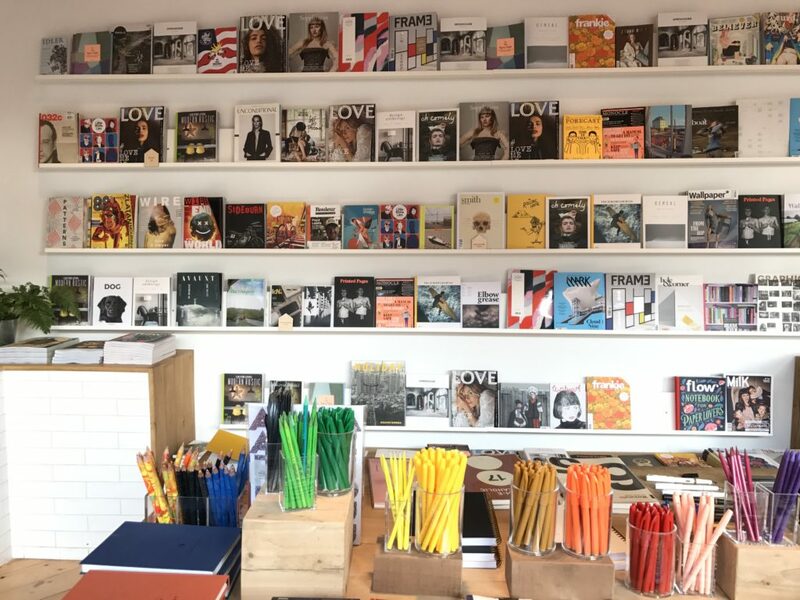 The smell of freshly printed books, colourful stationery (Love the Furst 2.0: Mechanical clutch pencil with handy clip and sharpener on the end) magazines and stories from every corner of the earth, beautiful range of travel guides (Petite Passport, Lost in Guides, Wallpaper guides are all there) : there’s a lot of happiness here. This store would be my home, my temple if I lived in Bristol. 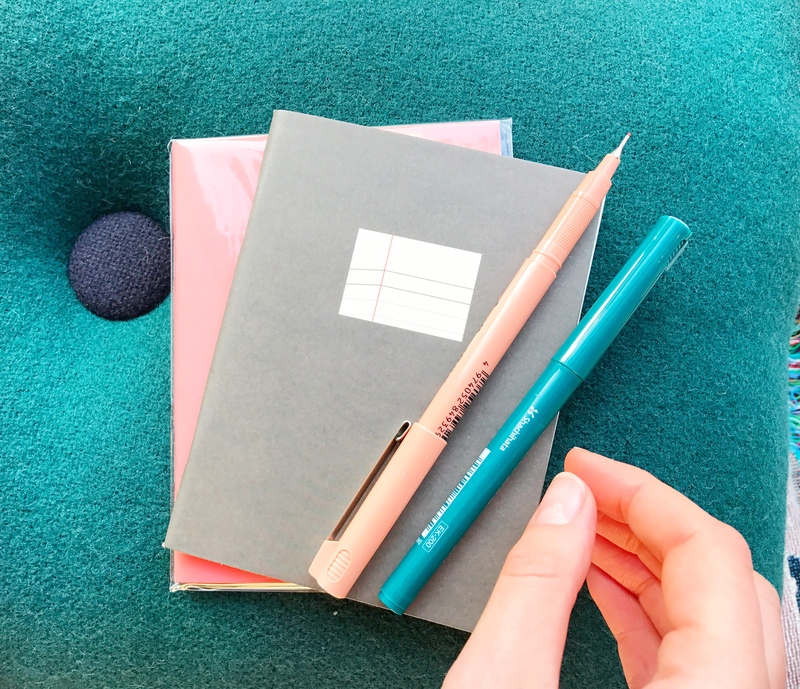 Scroll to the bottom to enter my Papersmiths giveaway where you have the chance to win a £30 voucher from their store! A trip to Bristol would be incomplete without a walk and a few photos at the Royal York Crescent. 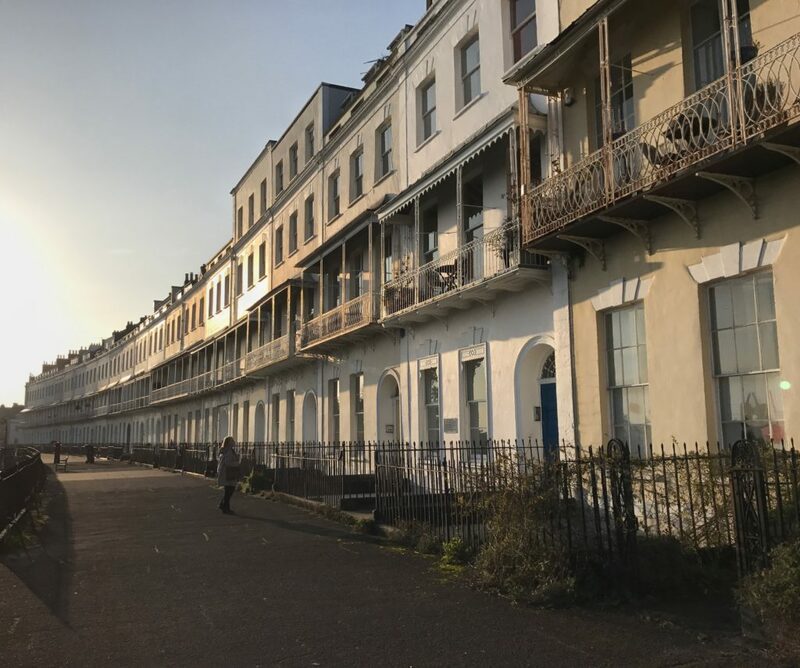 This street, probably the most expensive residential street in Bristol has a fine view of the docks and most of the city. Numbers 1-46, form the characteristic crescent and contain Grade II listed houses. Their construction began in 1791 and the long terrace features some of the best examples of Georgian architecture. 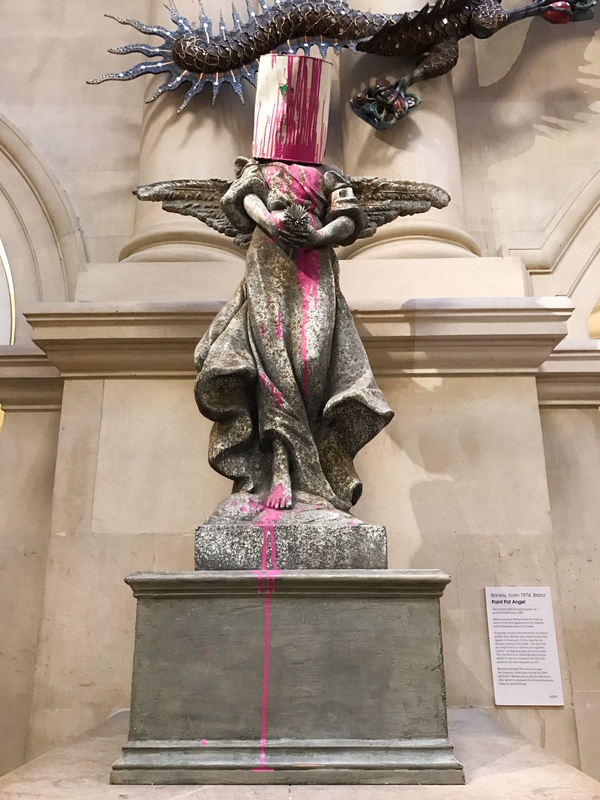 My last cultural activity of the trip is a visit to the Bristol Museum & Art Gallery (£ Free to enter) for a quick viewing of the Paint Pot Angel by Banksy. 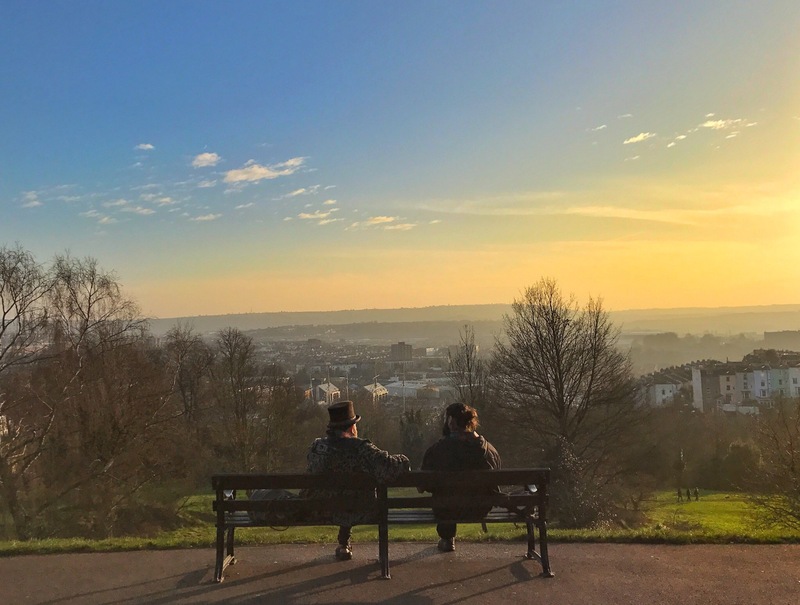 Sophie and I then treated ourselves to sunset views at Brandon Hill and Cabot Tower. 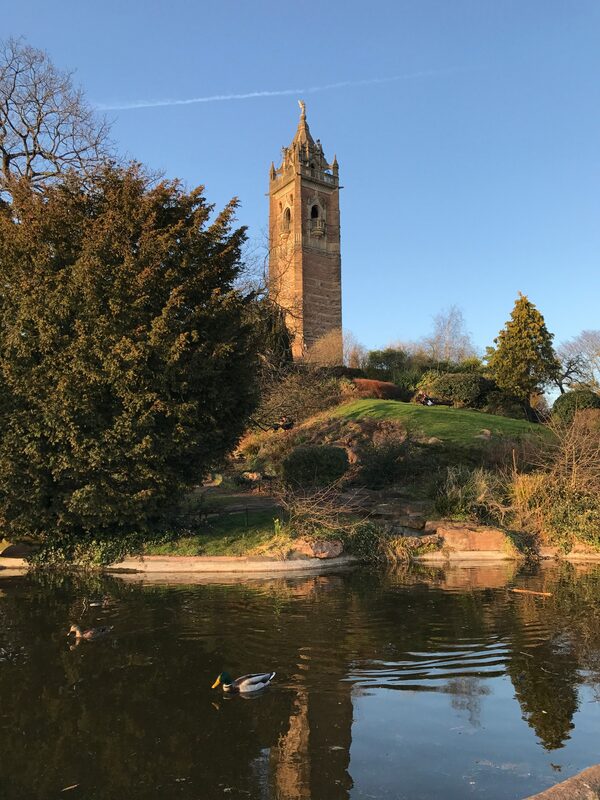 Brandon Hill is a wonderful Bristol Park, close to the city centre and reaches its summit at Cabot Tower. The point commands spectacular scenic views of Bristol. The park grounds are fairly rugged and steep and are divided into a nature reserve, gardens and grassy meadows. 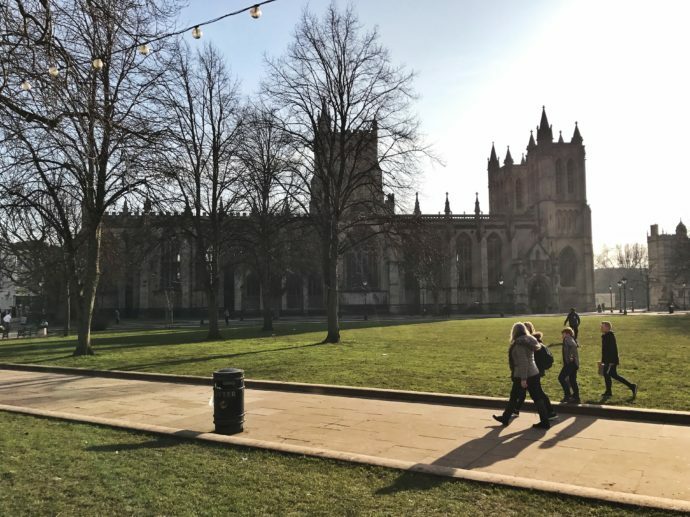 It’s a nice place for a walk or a picnic in Bristol. After a busy day of exploration we enjoy an apertif at the Quadrant. 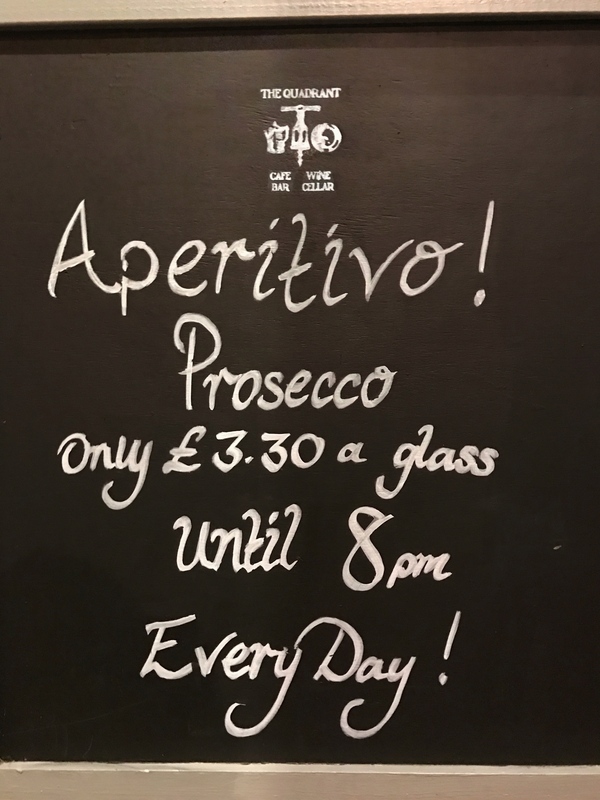 The prosecco comes in at only £3.30 a glass and the deal stands until 8pm every day. 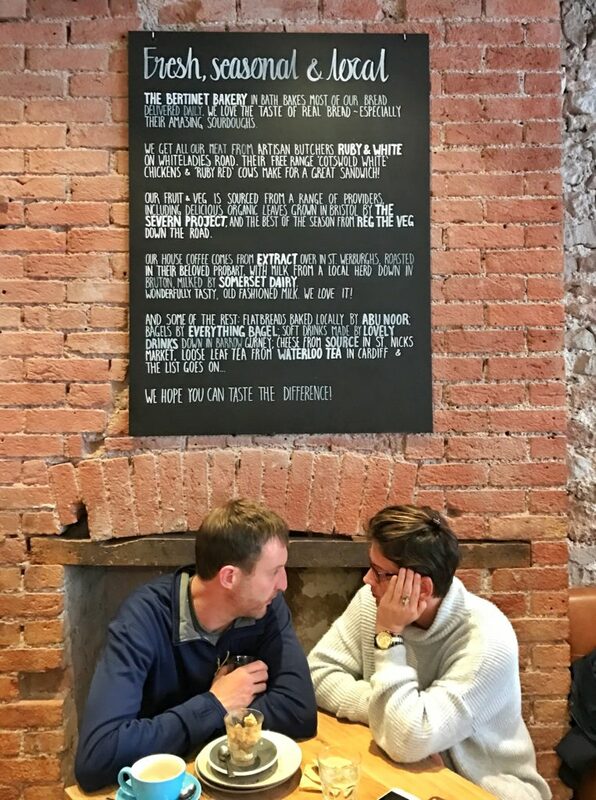 Bristol is the capital of cider and scrumpy and one place to pay your respect to the cider gods and goddesses is the Coronation Tap. 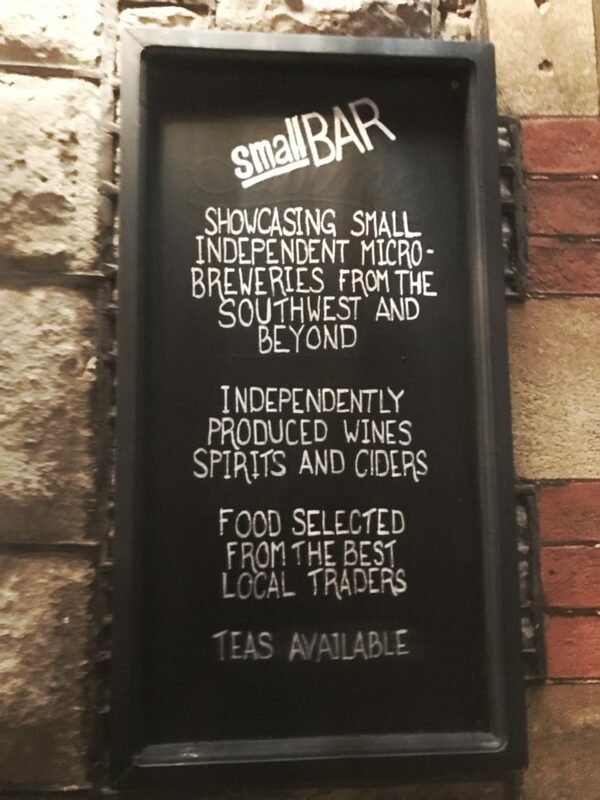 It’s a much loved Bristolian institution, is home to many fine ciders including their infamous Exhibition Cider (8.5%). Sophie and I had half a pint and then had another half pint. By this time we were quite merry. Drinking Exhibition Cider on an empty stomach-phew! Dinner is a thali at the Thali Cafe and satisfies all my Indian food cravings. 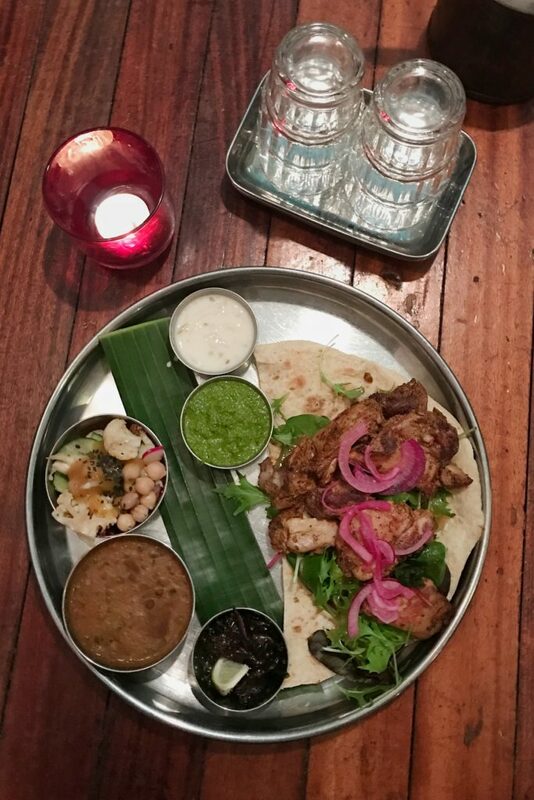 I opt for the Mogul Thali (£11.50) featuring free range chicken curry in a coconut sauce, served with vegetables, daal, basmati rice and a radish salad on the side. The night ends with a drink at Hamilton’s, Stokes Croft where you can also checkout the Banksy mural (The WildWild West). It’s my final morning in Bristol. I kind of randomly discover Little Victories near the hostel- the sister cafe to the Small Street Espresso. 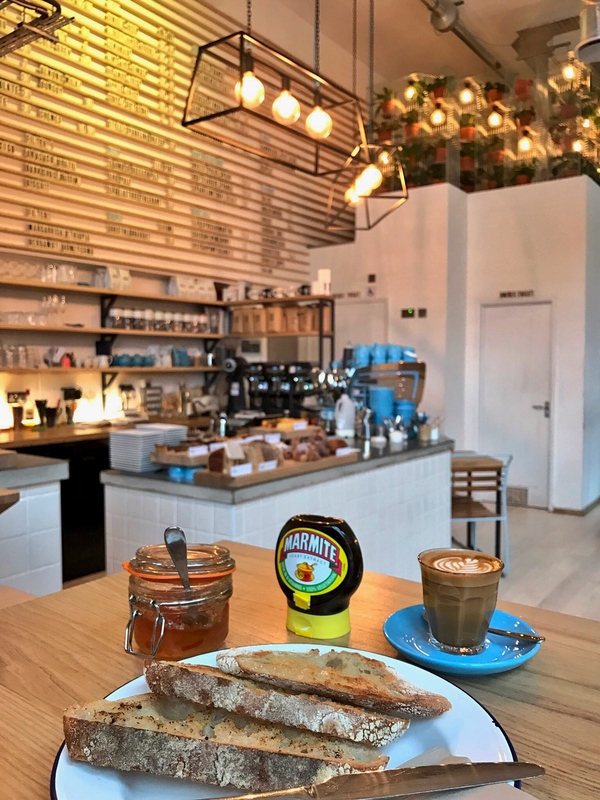 Fabulous gourmet coffee and they also serve buttered toast with the added incentive of marmite. Yum. After this satisfying start to my day I walk upto Bristol’s M Shed to learn more about Bristol. M Shed is a free museum chronicling the history of Bristol and its people. 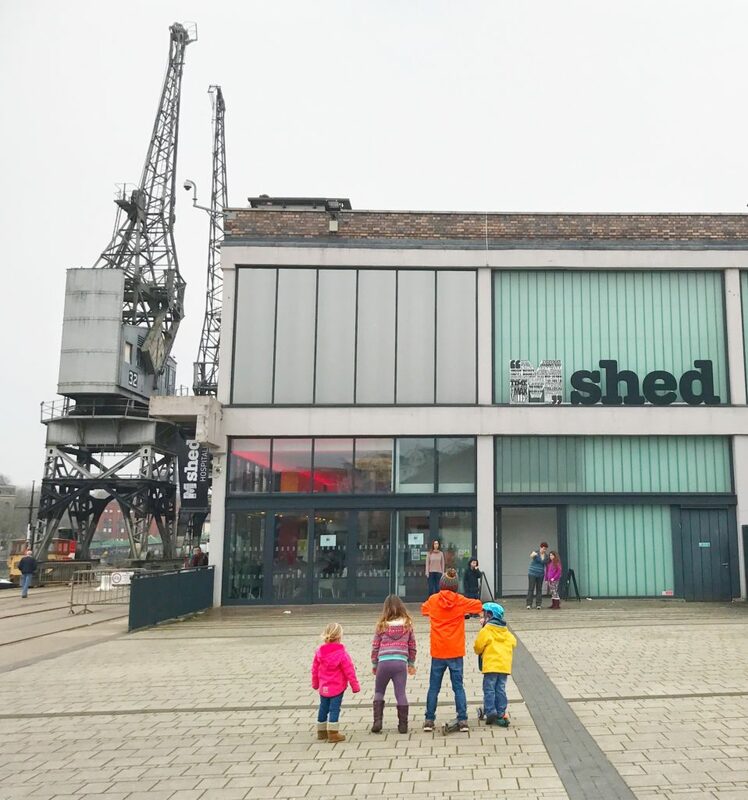 You can find M Shed on Prince’s Wharf, beside the Floating Harbour. 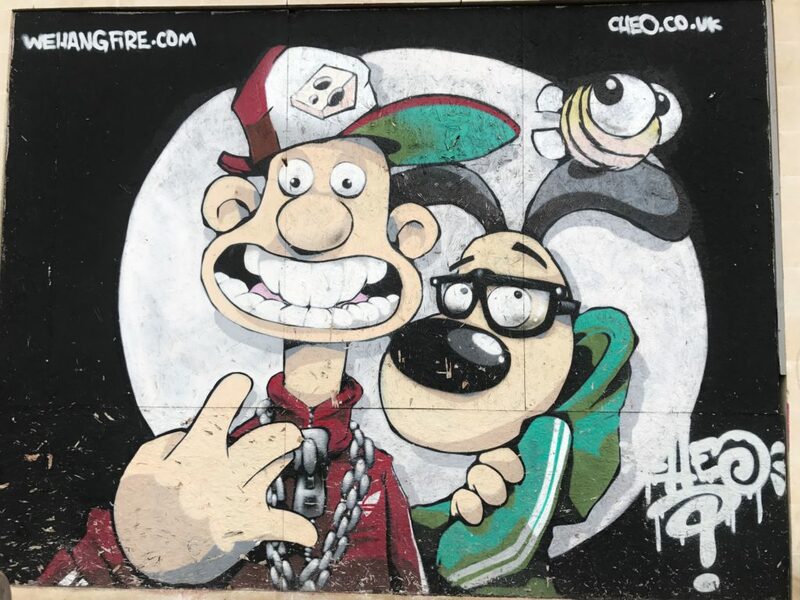 The museum is cluttered with over 3000 nuggets of local history including everything from a pink spray-painted Technics record deck used by trip-hop pioneers Massive Attack to models of local animator Nick Park’s Oscar-winning animated duo Wallace and Gromit plus a 10m long mural by local graffiti artists. To round off my cider odyssey in Bristol I had to pop in here. 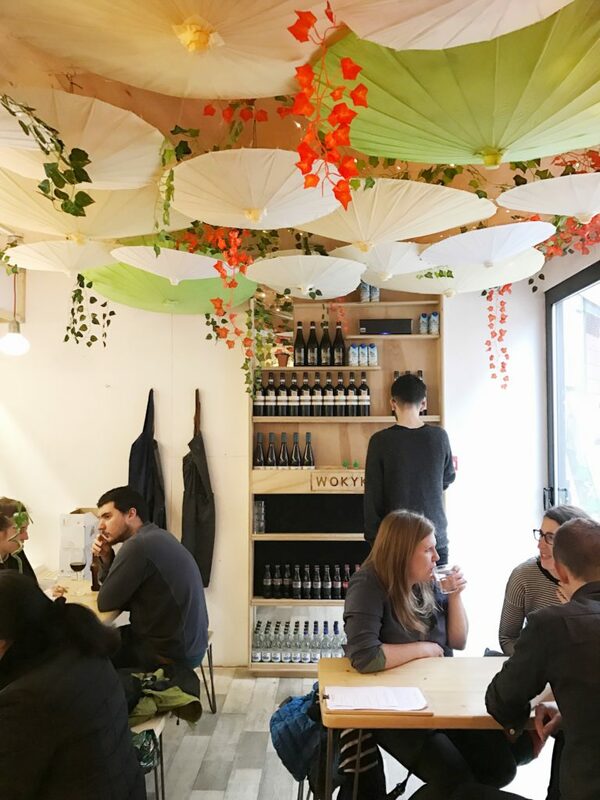 The shop has over 100 varieties of draught and bottle cider and perry to sample. 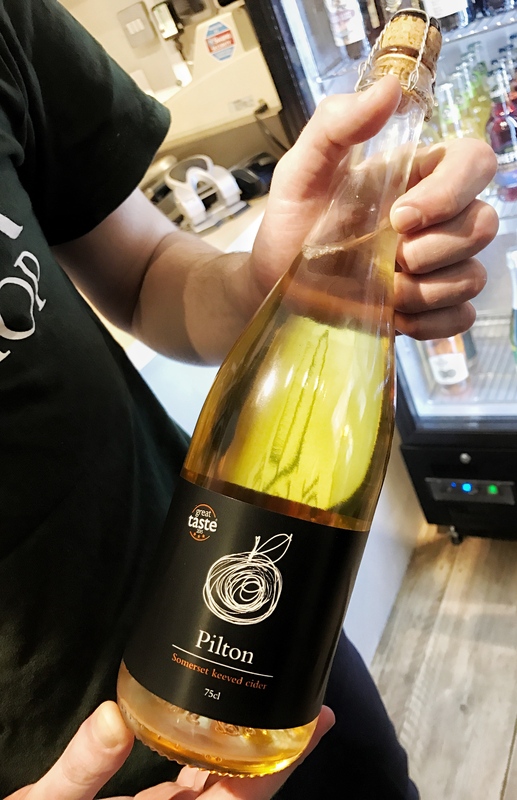 I had one hour of bliss sampling all their ciders: my personal favourite was the Pilton Sparkling Cider. Owners are really friendly and also great ambassadors of the city. Pop in here and I highly recommend booking in an official tasting session. My final meal for the trip is in Wapping Warf in a converted shipping container Woky Ko next door to the Cider Shop. The restaurant is the creation of former Masterchef finalist Larkin Cen so I was pretty excited about this meal. 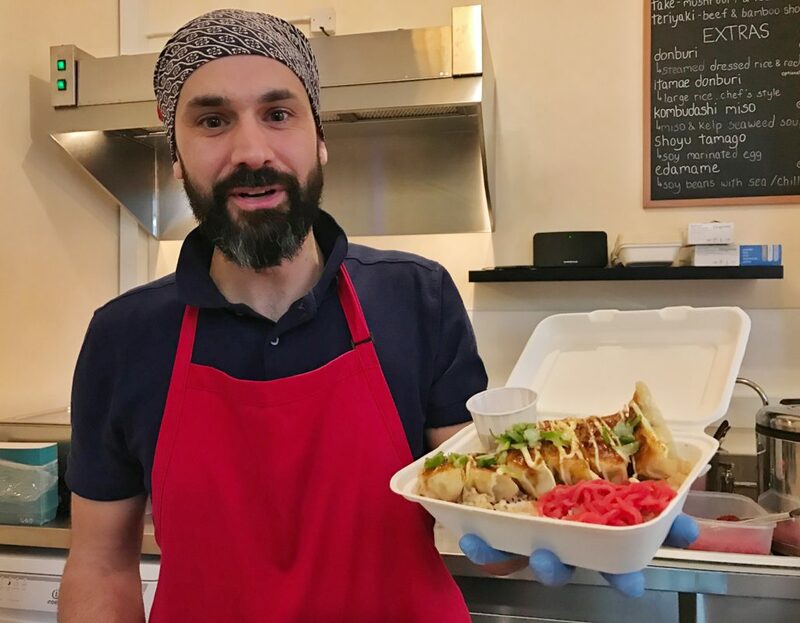 The food is all inspired by Asian Street food flavour. I start with the Asian steamed buns aka Bao. 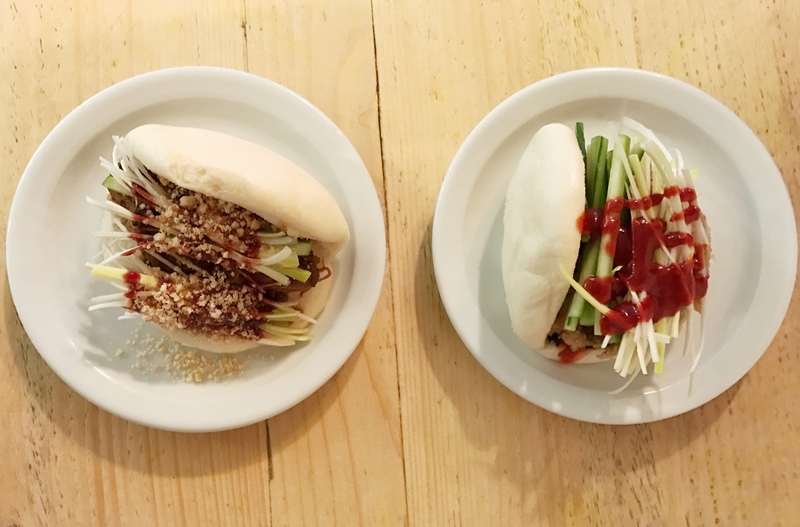 There is a choice of 5 fillings to choose, from which I plump for crispy duck with peking sauce, cucumber and leeks. 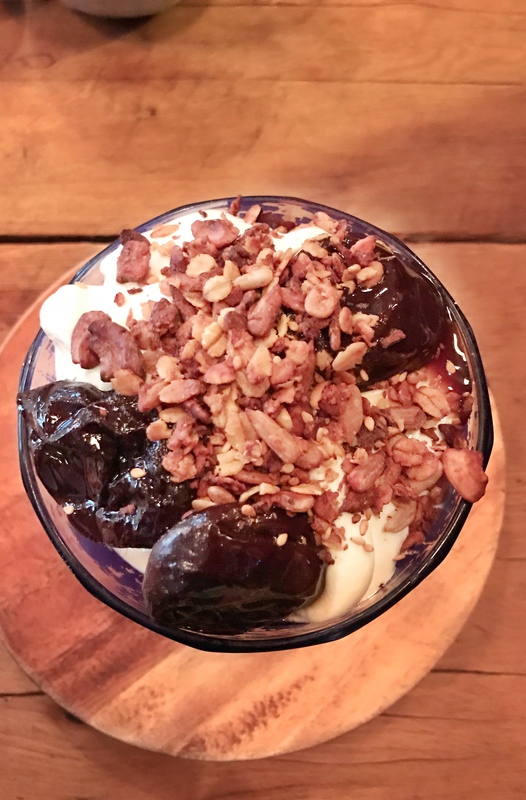 Its delicious and at just £3.95, I honestly happily would have just ordered a bunch of these. 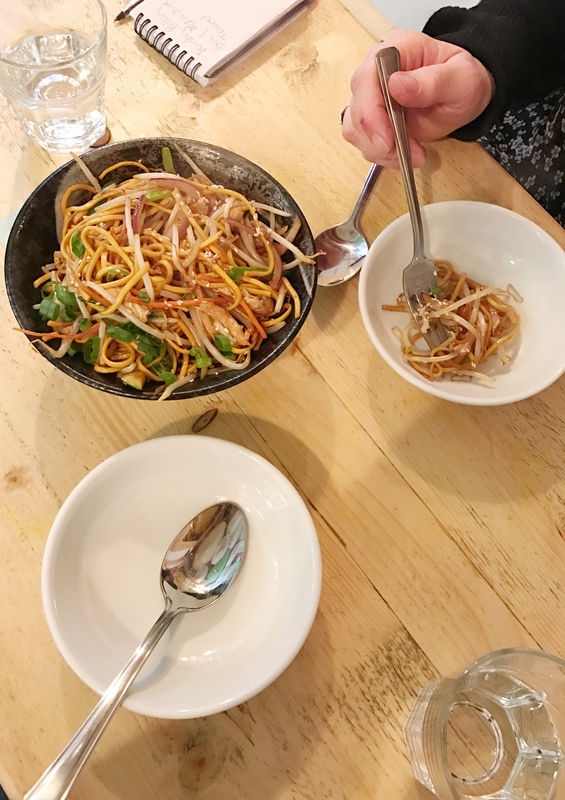 Next up, I ordered a plate of their veg chow mein served with fresh herbs (£8.95). 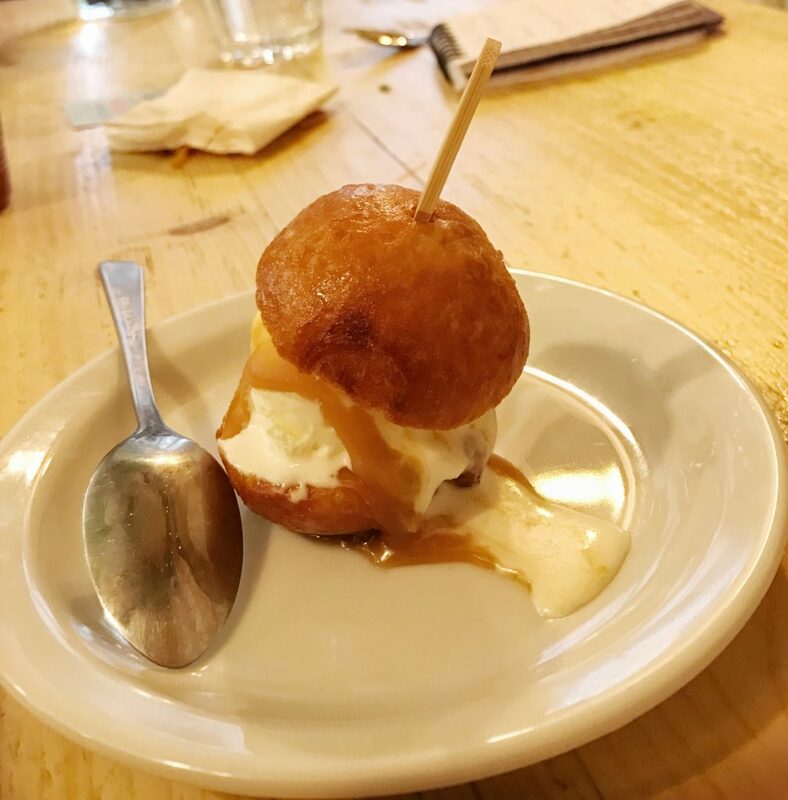 The salted caramel ice cream bao! For dessert just out of curiosity I ordered the salted caramel ice cream bao (£4.25) which was fantastic: a warm, deep-fried bun with a coconut ice cream centre and doused with oodles of rich salted caramel. This concludes my 48 Hours in the city of Bristol. Bristol is well served by road, rail and air. Budget airlines carriers easyJet, Ryanair serve the airport along with a number of the air carriers. If you are travelling from London, the Great Western Railway gets you to Bristol in under 2 hours and fares can cost around £35 mark. However, if you take National Express, it takes 2.20 hours and it costs just £6. Bristol has an excellent local transport system of bus which means getting from A to B to C is easy. A single ticket costs £2.20 and you can buy this from the bus driver. If you are planning to take more than the odd journey, investing in a day pass is a sensible idea. It costs £4. You can find out more about Bristol bus routes and timetables on the First Group website. It’s also worth exploring Bristol’s latest innovative service, provided by Bristol FreeBus. 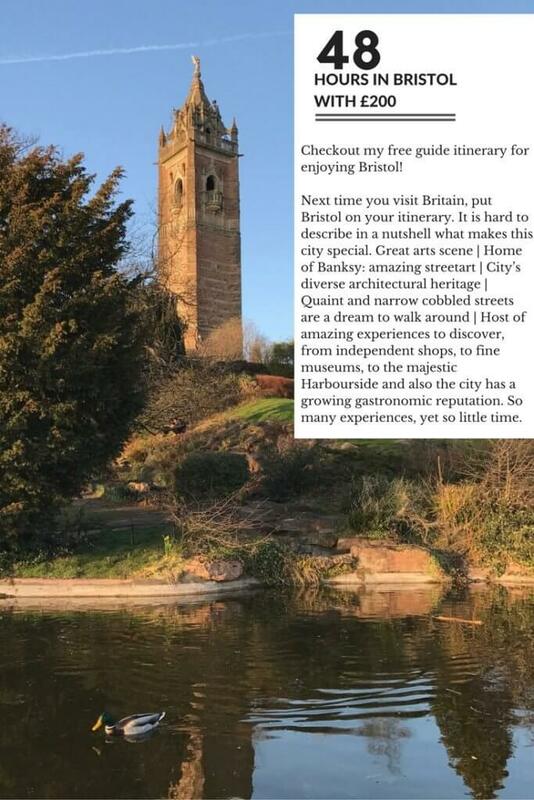 If you’re in Bristol and need help with finding bus stations and routes, the Tourist Information Centre on the Harbourside are happy to help. 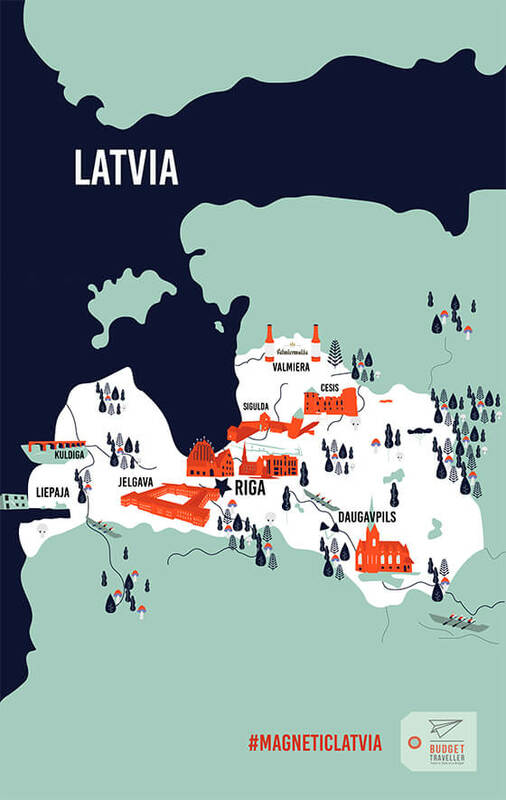 You can buy day, season and multiple journey tickets direct from them too. If you are travelling with your child, the day ticket for a child is £2 (Child tickets are valid for ages 5-15). If you are travelling with a group of friends, the group day ticket is great value for £8 and covers 5 adults. For more information, pop over to the First Group website. Huge thanks again to Jon and Lesley from Destination Bristol for bringing me to Bristol and also to my blogger friends, Steve, Victoria and Sophie for a fantastic few days. Previous articleSkiing on a budget? Is it possible?